Rate this project Clement Lefebvre has announced the availability of a new release of Linux Mint. The new version, Linux Mint 18.2, is the latest update in the 18.x series and is built upon a base of Ubuntu 16.04 LTS. The new release will be supported until 2021 and is available in four editions (Cinnamon, KDE, MATE and Xfce). Linux Mint 18.2 features improvements to the X-Apps cross-desktop applications with improved short-cuts coming to the Xplayer video player and line sorting coming to the Xed text editor. The login screen is now powered by LightDM running the Slick greeter and includes support for HiDPI. The update manager has been tweaked to help users find their ideal balance between security updates and system stability: "The Update Manager received many improvements. It still has the same mission and tackles the same issues as before (keeping your computer safe, providing bug fixes and protecting you from regressions) but it presents things slightly differently. Policies and level definitions were refined to better filter updates depending on their level of impact on the operating system and without worrying about their origin." Further information and screen shots can be found in the project's release announcements (Cinnamon, KDE, MATE, Xfce) and in the release notes (Cinnamon, KDE, MATE, Xfce). Download (SHA256, signature, pkglist): linuxmint-18.2-cinnamon-64bit.iso (1,598MB, torrent), linuxmint-18.2-kde-64bit.iso (1,912MB, torrent), linuxmint-18.2-mate-64bit.iso (1,659MB, torrent), linuxmint-18.2-xfce-64bit.iso (1,571MB, torrent). The Linux Mint team has announced the availability of a new development release of their popular, Ubuntu-based distribution. The new development snapshot, Linux Mint 18.2 beta, is provided in Cinnamon and MATE editions. The MATE edition features the MATE 1.18 desktop environment, built with GTK+ 3 libraries. The Cinnamon edition features the Cinnamon 3.4 desktop. Both editions feature new versions of the project's X-apps, cross-desktop forks of popular GNOME applications. Improvements have also been made to the distribution's update manager: "The Update Manager received many improvements. It still has the same mission and tackles the same issues as before (keeping your computer safe, providing bug fixes and protecting you from regressions) but it presents things slightly differently. Policies and level definitions were refined to better filter updates depending on their level of impact on the operating system and without worrying about their origin. Most updates are now level 2. Application updates which do not impact the OS are level 1. Toolkits and desktop environments or libraries which affect multiple applications are level 3. Kernels and sensitive system updates are level 4. Level 5 is extremely rare and not used by default." Additional information can be found in the project's release announcements (Cinnamon, MATE) and release notes (Cinnamon, MATE). Download (pkglist): linuxmint-18.2-cinnamon-64bit-beta.iso (1,747MB, SHA256, signature, torrent), linuxmint-18.2-mate-64bit-beta.iso (1,811MB, SHA256, signature, torrent). 2017-01-27 Distribution Release: Linux Mint 18.1 "KDE", "Xfce"
The Linux Mint team has announced the availability of two new editions of Linux Mint 18.1. The two new editions, KDE and Xfce, feature Mint's X-Apps, desktop applications which are designed to look and act the same across multiple desktop environments. The update manager has been updated to make kernel updates more visible and installing additional language support has been improved: "The Language Settings checks are more exhaustive than before. In previous versions, full support for a particular language included its language packs and localized versions of popular applications such as Thunderbird and Firefox. This now includes a lot more packages such as dictionaries, help packages, fonts, and optional components which depend on the list of applications you installed." The Xfce edition ships with the Xfce 4.12 desktop environment while the KDE edition ships with KDE's Plasma 5.8 desktop. Further information, including system requirements, can be found in the project's release announcements (KDE, Xfce). Download (pkglist): linuxmint-18.1-kde-64bit.iso (1,936MB, SHA256, signature, torrent), linuxmint-18.1-xfce-64bit.iso (1,712MB, SHA256, signature, torrent). The Linux Mint team has announced the release of an update to the project's 18.x branch. The new version, Linux Mint 18.1, is available in two editions (Cinnamon and MATE), in 32-bit and 64-bit builds. The new release offers Cinnamon users a new screensaver that displays more information and provides media controls even when the screen is locked. On computers which feature accelerometers, the Cinnamon desktop can now rotate when the device's orientation changes. Both editions offer upgrades to the X-apps programs with the Xplayer media player now offering the ability to blank screens not being used to display video. Also, the update manager can display a list of available kernel versions with recommendations. "The screensaver in Cinnamon 3.2 was redesigned and rewritten from scratch in Python. Not only does it look better, but it's also much faster, more responsive and more customizable than the old one. Background slide shows set in Cinnamon continue to play in the new screensaver. On laptops the battery power is shown, so you can see if you're running low without having to log in." Additional information can be found in the project's release announcements (Cinnamon, MATE). Download (pkglist): linuxmint-18.1-cinnamon-64bit.iso (1,726MB, SHA256, signature, torrent, release notes), linuxmint-18.1-mate-64bit.iso (1,788MB, SHA256, signature, torrent, release notes). The Linux Mint team has announced the availability of a new development snapshot. The new version, Linux Mint 18.1 beta, features a new screen saver which allows the user to control the media player while the screen is locked, giving users the ability to control music playback without unlocking their computer. In the Cinnamon edition of Linux Mint it is possible to enable sounds to accompany on-screen notifications and the Xplayer video player can now blank monitors not in use by the player window. "If you have more than one monitor, you can now press the 'Blank Other Monitors' button when playing a video in full screen. Your video will continue to play and all your other monitors will turn black. The blanking can be toggled back and forth and automatically stops if you leave full screen or close the player. This feature is also available if you plug an external monitor to a laptop, so it allows you to blank the external monitor, or to blank the laptop itself without having to close the lid." These and other changes can be found in the release announcements for each edition (Cinnamon, MATE), in the What's New pages (Cinnamon, MATE) and in the release notes (Cinnamon, MATE). Download (pkglist): linuxmint-18.1-cinnamon-64bit-beta.iso (1,703MB, SHA256, signature, torrent), linuxmint-18.1-mate-64bit-beta.iso (1,783MB, SHA256, signature, torrent). 2016-09-09 Distribution Release: Linux Mint 18 "KDE"
Clement Lefebvre has announced the release of Linux Mint 18 "KDE", an edition of the Mint family featuring the KDE Plasma 5.6 desktop: "The team is proud to announce the release of Linux Mint 18 'Sarah' KDE edition. Linux Mint 18 is a long-term support release which will be supported until 2021. It comes with updated software and brings refinements and many new features to make your desktop even more comfortable to use. This edition of Linux Mint features the KDE Plasma 5.6 desktop environment. The default display manager is SDDM. The APT sources include the Kubuntu backports PPA, which provides updates to newer versions of the Plasma desktop. The update manager received many improvements, both visual and under the hood. The main screen and the preferences screen now use stack widgets and subtle animations, and better support was given to alternative themes." Here is the brief release announcement, with further details, screenshots and videos provided in the new features page as well as the release notes. Download: linuxmint-18-kde-64bit.iso (1,622MB, SHA256, signature, torrent). 2016-08-02 Distribution Release: Linux Mint 18 "Xfce"
Clement Lefebvre has announced the availability of Linux Mint 18 "Xfce" edition. Linux Mint 18 is a long term support release which will receive security updates through to the year 2021. The Xfce edition is a lightweight alternative to Linux Mint's Cinnamon and MATE editions. 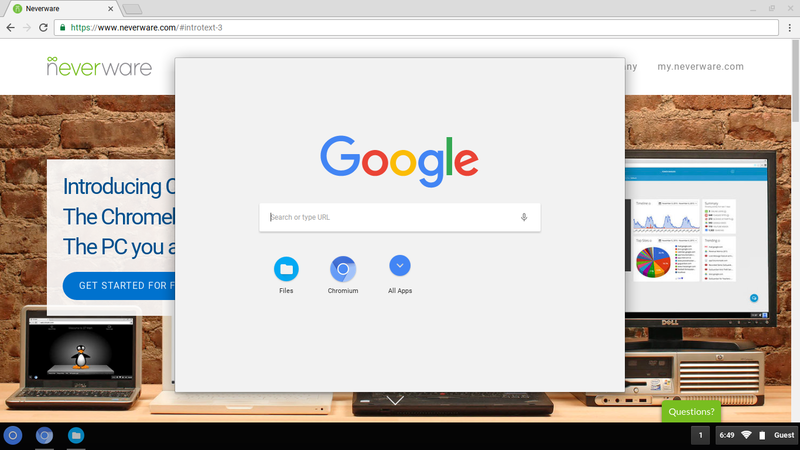 The new release offers users access to Mint's X-Apps, forks of GNOME applications which are designed to look and work the same across multiple desktop environments. The new version of Mint also features improvements to the update manager: "Linux Mint no longer ships lists of fixes and lists of regressions specific to particular kernels. With so many kernel revisions, so many fixes and so many regressions happening sometimes on a daily basis, this information was quickly outdated. Instead, it was replaced with links to relevant sources of information. For instance, if you select a particular kernel you can now quickly access its changelog and see all the bug reports marked against it. The update manager was already configurable but it wasn't clear how to configure it, and why. In particular, the concepts of regressions, stability and security weren't clearly explained." Additional information can be found in the project's release announcement and release notes. Download: linuxmint-18-xfce-64bit.iso (1,622MB, SHA256, signature, torrent, pkglist). Clement Lefebvre has announced a new release of Linux Mint. The new version, Linux Mint 18, is a long term support release which will receive support through to the year 2021. This release is based on Ubuntu 16.04 and is available in Cinnamon and MATE editions. There are several new features in this version, including an enhanced update manager which supports installing different versions of the Linux kernel. The update manager will also be easier to configure to offer a balance between security and stability. Linux Mint 18 further introduces X-Apps. "A new project called X-Apps was started and its goal is to produce generic applications for traditional GTK+ desktop environments. The idea behind this project is to replace applications which no longer integrate properly outside of a particular environment (this is the case for a growing number of GNOME applications)." Additional information can be found in the project's release announcement (Cinnamon, MATE) and release notes (Cinnamon, MATE). Download (pkglist): linuxmint-18-cinnamon-64bit.iso (1,619MB, SHA256, torrent, signature), linuxmint-18-mate-64bit.iso (1,698MB, SHA256, torrent, signature). Clement Lefebvre has announced a development release of the Linux Mint distribution. The new testing release, Linux Mint 18 Beta, is available in Cinnamon and MATE editions. There are several new features being previewed in this beta, including an enhanced update manager which supports installing different versions of the Linux kernel. The update manager will also be easier to configure to offer a balance between security and stability. This beta also introduces X-Apps: A new project called X-Apps was started and its goal is to produce generic applications for traditional GTK desktop environments. The idea behind this project is to replace applications which no longer integrate properly outside of a particular environment (this is the case for a growing number of GNOME applications) and to give our desktop environments the same set of core applications, so that each change, each new feature being developed, each little improvement made in one of them will benefit not just one environment, but all of them." Additional information can be found in the project's release announcement (Cinnamon, MATE) and release notes (Cinnamon, MATE). Download (pkglist): linuxmint-18-cinnamon-64bit-beta.iso (1,619MB, SHA256, signature), linuxmint-18-mate-64bit-beta.iso (1,700MB, SHA256, signature). 2016-01-09 Distribution Release: Linux Mint 17.3 "KDE", "Xfce"
The Linux Mint team has announced the availability of two new community releases. The new editions, "KDE" and "Xfce", are community spins of Linux Mint 17.3 and feature the same enhancements to the distribution's update manager and driver manager. The new community editions are based on Ubuntu 14.04 LTS and will continue to receive security updates through to 2019. "Linux Mint 17.3 is a long term support release which will be supported until 2019. It comes with updated software and brings refinements and many new features to make your desktop even more comfortable to use." Linux Mint 17.3 supports booting on computers with UEFI enabled, but does not support SecureBoot, the project recommends disabling SecureBoot prior to attempting to install Linux Mint. Further information can be found in the project's release announcements for the KDE and Xfce editions. Download: linuxmint-17.3-xfce-64bit.iso (1,483MB, SHA256, torrent, release notes, pkglist), linuxmint-17.3-kde-64bit.iso (1,664MB, SHA256, torrent, release notes, pkglist). Clement Lefebvre has announced a new release of the Linux Mint distribution. The new release, Linux Mint 17.3, is based on Ubuntu 14.04 LTS and is available in MATE and Cinnamon editions. Some of the key changes in this release involve the handling of software updates and managing hardware drivers. "Linux Mint 17.3 is a long term support release which will be supported until 2019. It comes with updated software and brings refinements and many new features to make your desktop experience more comfortable to use. Software repositories are very important. We use them all the time when installing new software or performing updates. They need to be fast and reliable. This was a major point of focus in the development of Linux Mint 17.3. Software repositories are mirrored (i.e. duplicated on many servers) all over the world. The main goal of the Software Sources configuration tool is to make it easy to find the best available mirror for you; one that is: reliable and fully up to date; fast and responsive. To find the fastest mirrors, the Software Sources tool now detects your location and starts its speed tests with mirrors near you." Further information can be found in the release announcements for the Cinnamon and MATE editions. Download (pkglist): linuxmint-17.3-cinnamon-64bit.iso (1,508MB, SHA256, torrent), linuxmint-17.3-mate-64bit.iso (1,600MB, SHA256, torrent). Clement Lefebvre has announced the availability of a new beta release for the Linux Mint distribution. The new version, Linux Mint 17.3 Beta, is based on Ubuntu 14.04 LTS and contains mostly bug fixes and performance enhancements. The Driver Manager now reports installation errors and indicates whether available drivers are open source or not. The Update Manager attempts to locate fast mirrors to improve download times and multi-monitor support has been improved for the MATE desktop. It is also now possible to switch window managers on the fly from the MATE desktop. "In preparation for Linux Mint 17.3, a lot of work went into MATE 1.12. Most of the papercut issues identified in Linux Mint 17.2 were fixed and some of the new features implemented in Cinnamon were ported to MATE. The team focused on many little yet important issues which are key for a comfortable user experience. MATE is now using the same `presence' interface as GNOME and Cinnamon. This means it now supports a very wide range of applications." The release notes for the beta are available in two separate posts for the Cinnamon and MATE editions. Download (pkglist): linuxmint-17.3-cinnamon-64bit-beta.iso (1,508MB, torrent, release notes), linuxmint-17.3-mate-64bit-beta.iso (1,600MB, torrent, release notes). 2015-08-07 Distribution Release: Linux Mint 17.2 "KDE", "Xfce"
Linux Mint is a desktop oriented distribution based on Ubuntu. Clement Lefebvre has announced two new editions to the Linux Mint 17.2 family which feature the KDE and Xfce desktop environments, respectively. The new KDE and Xfce editions ship with a more flexible Software Sources manager, improved UEFI support and the ability to alias packages in the Update Manager. There are a number of other miscellaneous improvements: "The USB Image Writer and the USB Stick Formatter now recognize a wider variety of USB sticks. They also feature improvements in terms of partitions alignment, boot flags. Sticks are better described and the tools also now use less CPU than they did before. LibreOffice was upgraded to version 4.4.3. HPLIP was upgraded to version 3.15.2, for more HP printers to be recognized and supported. HAL was reintroduced to support DRM playback in Adobe Flash (note that this helps with certain video websites, but not all of them, a tutorial was written to workaround other DRM/Flash issues). In the repositories, Inkscape was upgraded to version 0.91." Further information can be found in the release announcements (KDE, Xfce) and in the release notes (KDE, Xfce). Download: linuxmint-17.2-kde-64bit.iso (1,714MB, MD5, torrent, pkglist), linuxmint-17.2-xfce-64bit.iso (1,530MB, MD5, torrent, pkglist). Clement Lefebvre has announced the availability of Linux Mint 17.2. The new release is a long term support release, based on packages from Ubuntu 14.04, and supported through to 2019. Linux Mint ships in two editions, Cinnamon and MATE. The Cinnamon edition offers a number of performance improvements along with better multi-panel and multi-monitor support. The MATE edition now provides users with the ability to enable/disable Caja file browser extensions at run time and ships with a new audio library that automatically detects and works with OSS, ALSA and PulseAudio sound systems. "UEFI is fully supported. Note: Linux Mint does not use digital signatures and does not register to be certified by Microsoft as being a `secure' OS. As such, it will not boot with Secure Boot. If your system is using Secure Boot, turn it off. Note: Linux Mint places its boot files in /boot/efi/EFI/ubuntu to work around this bug. This does not prevent the installation of multiple releases or distributions, or dual-boots between Ubuntu and Linux Mint, as they can all be bootable from the same GRUB menu." Downloads (pkglist): linuxmint-17.2-cinnamon-64bit.iso (1,555MB, MD5, torrent, release announcement, release notes), linuxmint-17.2-mate-64bit.iso (1,625MB, MD5, torrent, release announcement, release notes). Clement Lefebvre has announced a new release candidate for Linux Mint 17.2. The new release, which is available in Cinnamon and MATE editions, offers a number of performance improvements. The Cinnamon edition improves support for multi-monitor configurations and allows users to run multiple panels on their desktop. The MATE edition of Linux Mint ships with MATE 1.10 and is able to automatically detect and support multiple sound back-ends, including OSS, ALSA and PulseAudio. Both editions feature a more customizable Update Manager, a more flexible login screen and low-level enhancements. "The bash command completion was improved. The terminal is now able to better auto-complete the commands you type and also their arguments. The bash history was improved and no longer accepts duplicates. A new APT command was introduced to list missing recommended packages for a particular package. Say you installed wine, you can review the list of packages it recommends which aren't installed on your computer." Further information on this release candidate can be found in the project's release announcements for the Cinnmaon and MATE editions. Details on the project's new features are available in the release notes (MATE and Cinnamon). Downloads (pkglist): linuxmint-17.2-cinnamon-64bit-rc.iso (1,563MB, MD5, torrent), linuxmint-17.2-mate-64bit-rc.iso (1,632MB, MD5, torrent). 2015-04-10 Distribution Release: Linux Mint 2 "LMDE"
Clement Lefebvre has announced the launch of Linux Mint "Debian Edition", version 2. The new release, code named "Betsy", is available in two variants (Cinnamon and MATE) and is based on packages provided by Debian "Jessie". There are separate release announcements for Linux Mint Debian Edition 2 Cinnamon edition and for the MATE edition. Both announcements discuss the features of the new release and how it differs from Linux Mint's other products: "LMDE (Linux Mint Debian Edition) is a very exciting distribution, targeted at experienced users, which provides the same environment as Linux Mint but uses Debian as its package base, instead of Ubuntu. LMDE is less mainstream than Linux Mint, it has a much smaller user base, it is not compatible with PPAs, and it lacks a few features. That makes it a bit harder to use and harder to find help for, so it is not recommended for novice users. LMDE is however slightly faster than Linux Mint and it runs newer packages. Life on the LMDE side can be exciting. There are no point releases in LMDE 2, except for bug fixes and security fixes base packages stay the same, but Mint and desktop components are updated continuously." More information and workarounds for known problems can be found in the release notes. Downloads: lmde-2-201503-cinnamon-64bit.iso (1,499MB, MD5, torrent, pkglist), lmde-2-201503-mate-64bit.iso (1,501MB, MD5, torrent, pkglist). 2015-03-18 Development Release: Linux Mint 2 RC "LMDE"
Clement Lefebvre has announced the availability of a release candidate for the upcoming launch of Linux Mint Debian Edition, version 2. The release candidate is available in two flavours, Cinnamon and MATE, and is offered for 32-bit and 64-bit x86 machines. The release notes have further information on architecture support: "To guarantee compatibility with non-PAE processors, the 32-bit versions of Linux Mint Debian come with a 586 kernel by default. This kernel does not support SMP, and as a consequence is only able to detect one core and one CPU. If your CPU has multiple cores, or if you have more than one CPU, simply install the 686-PAE kernel and reboot your computer. Sometimes the MATE session fails to theme itself properly and shows up with ugly looking panels and icons. This is due to a race condition with MDM and it usually only happens in live mode. There are a number of workarounds for this." Linux Mint Debian Edition 2, code name "Betsy", will be based on Debian's upcoming stable release. Downloads: lmde-2-201503-cinnamon-64bit-rc.iso (1,536MB, MD5, torrent), lmde-2-201503-mate-64bit-rc.iso (1,526MB, MD5, torrent). 2015-01-08 Distribution Release: Linux Mint 17.1 "KDE"
Clement Lefebvre has announced the availability of an updated build of Linux Mint "KDE", a version based on Ubuntu's latest long-term support release: "The team is proud to announce the release of Linux Mint 17.1 'Rebecca' KDE. Linux Mint 17.1 is a long-term support release which will be supported until 2019. The previous version of Linux Mint used KDE 4.13. In this release, KDE is upgraded to version 4.14. Support was added in MDM and in the session for the KDE wallet to be fully integrated with Linux Mint. Although a Wallet Manager is present for configuration purpose, no interaction is needed for the KDE wallet to work. The wallet is created automatically with your first login, and it opens automatically in the background with every new session. The Update Manager now groups packages together according to their source package." See the release announcement, as well as the more detailed release notes and the what's new page for further information and known issues. Download: linuxmint-17.1-kde-64bit.iso (1,656MB, SHA256, torrent). Update: Linux 17.1 "Xfce" edition is now also available. Clement Lefebvre has announced the release of Linux Mint 17.1, an updated build of the popular distribution built on top of Ubuntu 14.04 LTS: "The team is proud to announce the release of Linux Mint 17.1 'Rebecca' MATE. Linux Mint 17.1 is a long term support release which will be supported until 2019. It comes with updated software and brings refinements and many new features to make your desktop even more comfortable to use. Linux Mint 17.1 MATE edition comes with two window managers installed and configured by default: Marco (MATE's very own window manager, simple, fast and very stable); Compiz (an advanced compositing window manager which can do wonders if your hardware supports it). Among the various window managers available for Linux, Compiz is certainly the most impressive when it comes to desktop effects." Read the two release announcements (Cinnamon and MATE) for more details. Download (SHA256): linuxmint-17.1-cinnamon-64bit.iso (1,478MB, torrent), linuxmint-17.1-mate-64bit.iso (1,557MB, torrent). Clement Lefebvre has announced the availability of the release candidate for Linux Mint 17.1, an upcoming updated release still based on Ubuntu 14.04 and offering security support until 2019: "The team is proud to announce the release of Linux Mint 17.1 'Rebecca' MATE RC. Linux Mint 17.1 is a long term support release which will be supported until 2019. It comes with updated software and brings refinements and many new features to make your desktop even more comfortable to use. Linux Mint 17.1 MATE edition comes with two window managers installed and configured by default: Marco (MATE's very own window manager, simple, fast and very stable); Compiz (an advanced compositing window manager which can do wonders if your hardware supports it). Among the various window managers available for Linux, Compiz is certainly the most impressive when it comes to desktop effects." See the "what's new" pages (there are separate ones for Mint's Cinnamon and MATE editions) for further details. Download (SHA256, pkglist) links: linuxmint-17.1-cinnamon-64bit-rc.iso (1,478MB, torrent), linuxmint-17.1-mate-64bit-rc.iso (1,557MB, torrent). 2014-06-26 Distribution Release: Linux Mint 17 "Xfce"
2014-06-23 Distribution Release: Linux Mint 17 "KDE"
Clement Lefebvre has announced the availability of the release candidate for Linux Mint 17: "The team is proud to announce the release of Linux Mint 17 'Qiana' RC. Linux Mint 17 is a long-term support release which will be supported until 2019. It comes with updated software and it brings refinements and many new features to make your desktop even more comfortable to use. Update Manager was hugely improved. It shows more information, it looks better, it feels faster, and it gets less in your way. It no longer needs to reload itself in root mode when you click on it. It no longer checks for an Internet connection or waits for the network manager and it no longer locks the APT cache at session startup." As was the case with Mint 16, there are separate release announcements for the two editions, as well as separate "what's new" pages for the Cinnamon and MATE editions. Download (SHA256) links: linuxmint-17-cinnamon-dvd-64bit-rc.iso (1,219MB, torrent), linuxmint-17-mate-dvd-64bit-rc.iso (1,303MB, torrent). 2014-03-02 Distribution Release: Linux Mint 201403 "Debian"
Clement Lefebvre has announced the release of Linux Mint 201403 "Debian", the distribution's rolling-release variant based on Debian's "Testing" branch: "The team is proud to announce the release of LMDE 201403. Highlights: update pack 8; Cinnamon 2.0; MATE 1.6; latest Mint tools and improvements; support for EFI and GPT. If you're new to LMDE, welcome to Linux Mint Debian! LMDE in brief: Linux Mint Debian Edition (LMDE) is a semi-rolling distribution based on Debian 'Testing'; it is available in both 32-bit and 64-bit variants as a live DVD with Cinnamon or MATE; the purpose of LMDE is to look identical to the main edition and to provide the same functionality while using Debian GNU/Linux as a base." Here is the brief release announcement with screenshots, system requirements and links to known issues and the changelog. Download (SHA256) from here: linuxmint-201403-cinnamon-dvd-64bit.iso (1,293MB, torrent), linuxmint-201403-mate-dvd-64bit.iso (1,312MB, torrent). 2013-12-22 Distribution Release: Linux Mint 16 "KDE", "Xfce"
Clement Lefebvre has announced the final release of Linux Mint 16 "KDE" and "Xfce" editions: "The team is proud to announce the release of Linux Mint 16 'Petra' KDE. KDE is a vibrant, innovative, advanced, modern looking and full-featured desktop environment. This edition features all the improvements from the latest Linux Mint release on top of KDE 4.11. ... The team is proud to announce the release of Linux Mint 16 'Petra' Xfce. Xfce is a lightweight desktop environment which aims to be fast and low on system resources, while still being visually appealing and user friendly. This edition features all the improvements from the latest Linux Mint release on top of an Xfce 4.10 desktop." For additional information, screenshots and feature lists please visit the following links: KDE edition announcement, KDE edition what's new, Xfce edition announcement, Xfce edition what's new. Download (SHA256): linuxmint-16-kde-dvd-64bit.iso (1,333MB, torrent), linuxmint-16-xfce-dvd-64bit.iso (1,184MB, torrent). Clement Lefebvre has announced that the release candidate for Linux Mint 16 is out and ready for testing: "The team is proud to announce the release of Linux Mint 16 'Petra' RC. Linux Mint 16 is the result of six months of incremental development on top of stable and reliable technologies. This new release comes with updated software and brings refinements and new features to make your desktop even more comfortable to use." One of the more interesting updates of the release is version 2.0 of Cinnamon (a fork of GNOME Shell), with a large number of new features: "Cinnamon 2.0 represents 5 months of development and 856 commits from 28 developers. It features a lot of bug fixes but also brand new features and many improvements." Continue to the what's new pages (these come separately for the Cinnamon and MATE editions to find out more. Download (SHA256) links: linuxmint-16-cinnamon-dvd-64bit-rc.iso (1,188MB, torrent), linuxmint-16-mate-dvd-64bit-rc.iso (1,259MB, torrent). 2013-07-21 Distribution Release: Linux Mint 15 "KDE"
Clement Lefebvre has announced the release of the "KDE" edition of Linux Mint 15: "The team is proud to announce the release of Linux Mint 15 'Olivia' KDE. KDE is a vibrant, innovative, advanced, modern looking and full-featured desktop environment. This edition features all the improvements from the latest Linux Mint release on top of KDE 4.10. Here are a few examples of what is new in KDE 4.10: a new screen locker makes Workspaces more secure; KWin now detects some virtual machines and enables OpenGL compositing if possible; the proprietary AMD driver now has OpenGL 2 support; printer setup, maintenance and job control are improved with a new implementation of the Print Manager; Dolphin has seen many bug fixes, improvements and new features, e.g. transferring files to and from a phone or other mobile device has become easier with support for MTP devices, which show up in the Places panel." Continue reading the release announcement and the what's new page for more information. Download: linuxmint-15-kde-dvd-64bit.iso (1,324MB, SHA256, torrent). 2013-07-12 Distribution Release: Linux Mint 15 "Xfce"
Clement Lefebvre has announced the release of Linux Mint 15 "Xfce" edition: "The team is proud to announce the release of Linux Mint 15 'Olivia' Xfce. The highlight of this edition is the lightweight Xfce 4.10 desktop. Xfce is a lightweight desktop environment which aims to be fast and low on system resources, while still being visually appealing and user friendly. It embodies the traditional UNIX philosophy of modularity and re-usability. It consists of a number of components that provide the full functionality one can expect of a modern desktop environment. They are packaged separately and you can pick among the available packages to create the optimal personal working environment. The default menu used in this edition is Whisker which features quick access to your favorite applications, categories, system shortcuts, recent documents and recently used applications." Read the release announcement and visit the what's new page for further information, screenshots and system requirements. Download: linuxmint-15-xfce-dvd-64bit.iso (925MB, SHA256, torrent). Clement Lefebvre has announced the final release of Linux Mint 15, code name "Olivia": "The team is proud to announce the release of Linux Mint 15 'Olivia'. Linux Mint 15 is the most ambitious release since the start of the project. MATE 1.6 is greatly improved and Cinnamon 1.8 offers a ton of new features, including a screensaver and a unified control center. The login screen can now be themed in HTML 5 and two new tools, 'Software Sources' and 'Driver Manager', make their first appearance in Linux Mint. MDM now features 3 greeters (i.e. login screen applications): a GTK+ greeter, a themeable GDM greeter for which hundreds of themes are available, and a brand-new HTML greeter, also themeable which supports a new generation of animated and interactive themes." Read the brief release announcement and also the what's new page and release notes for further details. Download (SHA256): linuxmint-15-mate-dvd-64bit.iso (1,000MB, torrent), linuxmint-15-cinnamon-dvd-64bit.iso (915MB, torrent). Clement Lefebvre has announced that the release candidate for Linux Mint 15 is ready for download and testing: "The team is proud to announce the release of Linux Mint 15 'Olivia' RC. Linux Mint 15 is the most ambitious release since the start of the project. MATE 1.6 is greatly improved and Cinnamon 1.8 offers a ton of new features, including a screensaver and a unified control center. The login screen can now be themed in HTML 5 and two new tools, 'Software Sources' and 'Driver Manager', make their first appearance in Linux Mint. MDM now features 3 greeters: a GTK+ greeter; a themeable GDM greeter for which hundreds of themes are available; a brand new HTML greeter, also themeable which supports a new generation of animated and interactive themes." See the release announcement, release notes and what's new page for more details, known issues and screenshots. Download (SHA256): linuxmint-15-cinnamon-dvd-64bit-rc.iso (906MB, torrent), linuxmint-15-mate-dvd-64bit-rc.iso (985MB, torrent). 2013-03-22 Distribution Release: Linux Mint 201303 "Debian"
Eleven months after the last release, a brand-new version of Linux Mint "Debian" edition (with MATE and Cinnamon, but no Xfce this time) is out: "The team is proud to announce the release of LMDE 201303. Highlights: Update Pack 6; MATE 1.4 and Cinnamon 1.6; installer improvements (graphical time zone and keyboard selection, support for installation on multiple hard disk drives, slideshow, webcam and face picture support); device driver manager; Plymouth splash screen. LMDE in brief: Linux Mint Debian Edition (LMDE) is a semi-rolling distribution based on Debian 'Testing'. It's available in both 32-bit and 64-bit variants as a live DVD with MATE or Cinnamon. The purpose of LMDE is to look identical to the main edition and to provide the same functionality while using Debian as a base." Here is the full release announcement with screenshots, additional notes and a FAQ. Download (SHA256) links: linuxmint-201303-cinnamon-dvd-64bit.iso (1,199MB), linuxmint-201303-mate-dvd-32bit.iso (1,274MB). 2012-12-23 Distribution Release: Linux Mint 14 "KDE"
Following the recent release of the "Xfce" flavour of Linux Mint 14, the project's latest "KDE" edition is now also available: "The team is proud to announce the release of Linux Mint 14 KDE. KDE is a vibrant, innovative, advanced, modern looking and full-featured desktop environment. This edition features all the improvements from the latest Linux Mint release on top of KDE 4.9 which features many improvements. Dolphin: back and forward buttons; ability to show metadata such as ratings, tags, image and file sizes, author, date; grouping and sorting by metadata properties; better Places panel; improved search support; synchronization with terminal location. Konsole: ability to search for a text selection using KDE web shortcuts; new 'Change Directory To' feature when a folder is dropped on the Konsole window...." Read the release announcement and visit the what's new page for additional details. Download (SHA256): linuxmint-14-kde-dvd-32bit.iso (1,047MB, torrent), linuxmint-14-kde-dvd-64bit.iso (1,045MB, torrent). 2012-12-21 Distribution Release: Linux Mint 14 "Xfce"
Clement Lefebvre has announced the release of Linux Mint 14 "Xfce" edition: "The team is proud to announce the release of Linux Mint 14 Xfce. Xfce is a lightweight desktop environment which aims to be fast and low on system resources, while still being visually appealing and user friendly. This edition features all the improvements from the latest Linux Mint release on top of an Xfce 4.10 desktop. It comes with some of the popular applications found in other Linux Mint editions such as Firefox, Thunderbird, LibreOffice, GIMP, Banshee, Pidgin and XChat, but it also replaces many aspects of the desktop with more lightweight Xfce alternatives: Thunar is the default file browser; Xfce Terminal is the default terminal application; Xfburn is the default CD/DVD burner application; Ristretto is the default image viewer; Blueman is used by default for Bluetooth support." Read the release announcement and visit the what's new page for further information. Download (SHA256): linuxmint-14-xfce-dvd-32bit.iso (872MB, torrent), linuxmint-14-xfce-dvd-64bit.iso (875MB, torrent). Clement Lefebvre has announced the final release of Linux Mint 14, code name "Nadia", in MATE (version 1.4) or Cinnamon (version 1.6) editions: "The team is proud to announce the release of Linux Mint 14 'Nadia'. For the first time since Linux Mint 11, the development team was able to capitalize on upstream technology which works and fits its goals. After 6 months of incremental development, Linux Mint 14 features an impressive list of improvements, increased stability and a refined desktop experience. We're very proud of MATE, Cinnamon, MDM and all the components used in this release, and we're very excited to show you how they all fit together in Linux Mint 14." For more information please visit the following pages: release announcement, what's new and release notes. Download (SHA256) links: linuxmint-14-mate-dvd-32bit.iso (966MB, torrent), linuxmint-14-cinnamon-dvd-32bit.iso (884MB, torrent), linuxmint-14-mate-dvd-64bit.iso (968MB, torrent), linuxmint-14-cinnamon-dvd-64bit.iso (881MB, torrent). Clement Lefebvre has announced the availability of the release candidate for Linux Mint 14 - in the usual MATE and Cinnamon flavours: "The team is proud to announce the release of Linux Mint 14 Nadia RC. For the first time since Linux Mint 11, the development team was able to capitalize on upstream technology which works and fits its goals. After six months of incremental development, Linux Mint 14 features an impressive list of improvements, increased stability and a refined desktop experience. We're very proud of MATE, Cinnamon, MDM and all the components used in this release, and we're very excited to show you how they all fit together in Linux Mint 14. New features: MATE 1.4 comes with numerous bug fixes, Bluetooth and mate-keyring are now functional and caja features support for Dropbox...." Read the release announcement, release notes and what's new page for more information, known issues and screenshots. Download (SHA256): linuxmint-14-mate-dvd-32bit-rc.iso (966MB, torrent), linuxmint-14-mate-dvd-64bit-rc.iso (961MB, torrent), linuxmint-14-cinnamon-dvd-32bit-rc.iso (879MB, torrent), linuxmint-14-cinnamon-dvd-64bit-rc.iso (873MB, torrent). 2012-07-23 Distribution Release: Linux Mint 13 "KDE"
Clement Lefebvre has announced the release of the "KDE" edition of Linux Mint 13: "The team is proud to announce the release of Linux Mint 13 KDE. KDE is a vibrant, innovative, advanced, modern-looking and full-featured desktop environment. This edition features all the improvements from the latest Linux Mint release on top of KDE 4.8. The highlight of this edition is the latest KDE 4.8 desktop, which features the following improvements: Kwin optimizations; redesign of power management and integration with Activities; the first QtQuick-based Plasma widgets have entered the default installation of Plasma Desktop; new display engine in Dolphin; new Kate features and improvements; functional and visual improvements in Gwenview." Read the release announcement and check out the what's new page and the release notes to learn about the new features and known issues. Download (MD5): linuxmint-13-kde-dvd-32bit.iso (915MB, SHA256), linuxmint-13-kde-dvd-64bit.iso (892MB, SHA256). 2012-07-22 Distribution Release: Linux Mint 13 "Xfce"
Clement Lefebvre has announced the availability of the Xfce edition of Linux Mint 13, codename Maya. From the what's new page: "The highlight of this edition is the latest Xfce 4.10 desktop, which features the following improvements: online documentation; application finder; multiple rows and deskbar mode in the panel; actions plugin; MIME type editor; single-click operation, automated background image cycling and thumbnail rendering on the desktop; edge-tiling in the window manager. In the past, the xfapplet plugin made it possible for Xfce users to run GNOME applets within the Xfce panel. After talking to the MATE and Xfce developers, we updated this plugin and it now supports MATE applets. Among the many MATE applets that can now run in Xfce, mintMenu is probably the most popular. Improvements were made to mintMenu so that it could support Thunar, the Xfce Settings Manager and other aspects of the Xfce desktop...." See the release announcement including upgrade instructions, and check the release notes for known issues. Download: linuxmint-13-xfce-dvd-32bit.iso (811MB, MD5, torrent), linuxmint-13-xfce-dvd-64bit.iso (795MB, MD5, torrent). 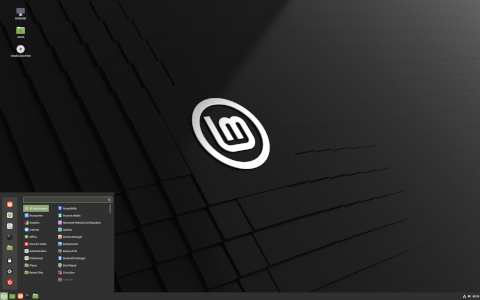 Clement Lefebvre has announced the finale release of Linux Mint 13, code name Maya: "The team is proud to announce the release of Linux Mint 13 'Maya'. Available in two editions, Linux Mint 13 features the choice between a productive, stable and mature MATE 1.2 desktop and the brand, new modern-looking and exciting Cinnamon 1.4. These two desktops are among the best available, they're perfectly integrated within Linux Mint and represent great alternatives to GNOME 2 users. Linux Mint 13 is also an LTS (long-term support) release and it will be supported until April 2017." Read the release announcement and release notes for system requirements, known issues and upgrade instructions. Download (SHA256): linuxmint-13-mate-dvd-32bit.iso (898MB, torrent), linuxmint-13-mate-dvd-64bit.iso (885MB, torrent), linuxmint-13-cinnamon-dvd-32bit.iso (817MB, torrent), linuxmint-13-cinnamon-dvd-64bit.iso (801MB, torrent). Clement Lefebvre has announced the availability of the release candidate for Linux Mint 13 - in MATE and Cinnamon flavours: "The team is proud to announce the release of Linux Mint 13 RC 'Maya'. Available in two editions, Linux Mint 13 features the choice between a productive, stable and mature MATE 1.2 desktop and the brand new, modern-looking and exciting Cinnamon 1.4. These two desktops are among the best available, they're perfectly integrated within Linux Mint and represent great alternatives to GNOME 2 users. Linux Mint 13 is also an LTS (long-term support) release and it will be supported until April 2017." Read the release announcement, release notes and what's new page for more information, known issues and screenshots. Download (SHA256): linuxmint-13-mate-dvd-32bit-rc.iso (898MB, torrent), linuxmint-13-mate-dvd-64bit-rc.iso (885MB, torrent), linuxmint-13-cinnamon-dvd-32bit-rc.iso (817MB, torrent), linuxmint-13-cinnamon-dvd-64bit-rc.iso (800MB, torrent). 2012-04-24 Distribution Release: Linux Mint 201204 "Debian"
Clement Lefebvre has announced the release of Linux Mint 201204 "Debian" edition: "The team is proud to announce the release of LMDE 201204. This release features three of the best Linux desktops available at the moment: The traditional and functional MATE 1.2 desktop, the innovative and beautiful Cinnamon 1.4 and the lightweight and rock-solid Xfce 4.8. Both the MATE/Cinnamon and Xfce editions use the MDM display manager. MDM will look familiar to many people, as it brings back GDM 2.20 and all its features: Remote login, configuration tools, fast-user switching, theme-ability, language selection. Yahoo joins DuckDuckGo and is featured as default in the list of search engines which financially support Linux Mint." Here is the full release announcement with screenshots of the three desktop options. Download (SHA256) links: linuxmint-201204-mate-cinnamon-dvd-32bit.iso (1,243MB), linuxmint-201204-mate-cinnamon-dvd-64bit.iso (1,180MB), linuxmint-201204-xfce-dvd-32bit.iso (1,113MB), linuxmint-201204-xfce-dvd-64bit.iso (1,070MB). 2012-03-09 Distribution Release: Linux Mint 12 "LXDE"
Clement Lefebvre has announced the release of Linux Mint 12 "LXDE" edition, a fast and lightweight variant of the popular Ubuntu-based distribution: "The team is proud to announce the release of Linux Mint 12 LXDE. Linux Mint 12 LXDE comes with updated software and brings refinements and new features to make your desktop even more comfortable to use. This is the first release of Linux Mint using hybrid ISO images. Traditionally, tools such as 'Startup Disk Creator' or 'UNetbootin' were needed to install Linux Mint via USB. With hybrid images, you can simply use the 'dd' command or a graphical front-end to make a bootable USB which acts exactly like a live DVD. Linux Mint 12 features the following upstream components: Ubuntu 11.10, Linux kernel 3.0, LXDE 0.5.0." Read the brief release announcement and the more informative what's new page for further details. Download: linuxmint-12-lxde-cd-32bit.iso (657MB, SHA256, torrent). 2012-02-03 Distribution Release: Linux Mint 12 "KDE"
Clement Lefebvre has announced the release of Linux Mint 12 "KDE" edition: "The team is proud to announce the release of Linux Mint 12 KDE. Linux Mint 12 KDE comes with updated software and brings refinements and new features to make your desktop even more comfortable to use. This edition comes with the latest and recently released KDE 4.7.4. This is the first release of Linux Mint using Hybrid ISO images. Traditionally, tools such as 'Startup Disk Creator' or 'UNetbootin' were needed to install Linux Mint via USB. With hybrid images, you can simply use the 'dd' command or a graphical front-end to make a bootable USB stick with no efforts which acts exactly like a live DVD. Consult the release announcement and the what's new page for more information and system requirements. Download: linuxmint-12-kde-dvd-32bit.iso (1,111MB, SHA256, torrent), (1,139MB, SHA256, torrent). The much-awaited Linux Mint 12, code name "Lisa", has been released: "The team is proud to announce the release of Linux Mint 12 'Lisa'. Linux Mint 12 comes with a brand new desktop, built with GNOME 3 and MGSE (Mint GNOME Shell Extensions), a desktop layer on top of GNOME 3 that makes it possible for you to use GNOME 3 in a traditional way. You can disable all components within MGSE to get a pure GNOME 3 experience, or you can enable all of them to get a GNOME 3 desktop that is similar to what you've been using before. Of course you can also pick and only enable the components you like to design your own desktop. The main features in MGSE are: the bottom panel, the application menu, the window list, a task-centric desktop (i.e. you switch between windows, not applications), visible system tray icons. MGSE also includes additional extensions such as a media player indicator, and multiple enhancements to GNOME 3." Read the release announcement and visit the what's new page for further information. Download (SHA256): linuxmint-12-gnome-dvd-32bit.iso (1,027MB, torrent), linuxmint-12-gnome-dvd-64bit.iso (1,017MB, torrent). The first release candidate for Linux Mint 12, an Ubuntu-based distribution with a choice between a highly customised GNOME 3 and MATE (a fork of GNOME 2) desktops, is out and ready for testing: "The team is proud to announce the release of Linux Mint 12 'Lisa' RC. Linux Mint 12 is a new step forward, using new technologies and a brand new desktop, built with GNOME 3 and Mint GNOME Shell Extensions (MGSE). MGSE is a desktop layer on top of GNOME 3 that makes it possible to use GNOME 3 in a traditional way. You can disable all components within MGSE to get a pure GNOME 3 experience, or you can enable all of them to get a GNOME 3 desktop that is similar to what you've been using before. The main features in MGSE are: the bottom panel, the application menu, the window list, a task-centric desktop (i.e. you switch between windows, not applications), visible system tray icons." Read the release announcement and check out the what's new page for more detailed information and screenshots. Download (SHA256): linuxmint-12-gnome-dvd-32bit-rc.iso (1,025MB, torrent), linuxmint-12-gnome-dvd-64bit-rc.iso (1,014MB, torrent). 2011-09-16 Distribution Releases: Linux Mint 201109 "Debian GNOME", "Debian Xfce"
Two new releases of the Debian-based editions of Linux Mint were announced earlier today. Featuring the rolling-release update mechanism with updated software pulled from Debian's "testing" repository, these releases offer the following highlights: "Available in both 32-bit and 64-bit variants as live DVDs with GNOME or Xfce; the purpose is to look identical to the main edition and to provide the same functionality while using Debian as a base; all Linux Mint 11 features; installer improvements (keyboard variants, locale, bug fixes, UUID in fstab); update packs, dedicated Update Manager and staged repositories; GTK+ 2/3 theme compatibility; updated software and packages." Read the complete release announcement if you'd like to find out more. Download: linuxmint-201109-gnome-dvd-32bit.iso (1,189MB, MD5, torrent), linuxmint-201109-xfce-dvd-32bit.iso (1,089MB, MD5, torrent), linuxmint-201109-gnome-dvd-64bit.iso (1,124MB, MD5, torrent), linuxmint-201109-xfce-dvd-64bit.iso (1,060MB, MD5, torrent). 2011-08-16 Distribution Release: Linux Mint 11 "LXDE"
Clement Lefebvre has announced the release of the "LXDE" edition of Linux Mint 11: "The team is proud to announce the release of Linux Mint 11 LXDE. Linux Mint 11 LXDE comes with updated software and brings refinements and new features to make your desktop even more comfortable to use. The Software Manager - many improvements were made to its graphical interface, and the Software Manager now looks much more polished. Application screens were visually improved, not only in the way they look but also in their layout and the information they show. For instance, the Software Manager now runs a simulation prior to showing you the application, so when you look at it, it can tell you precisely which packages would be added or removed to your system, how much data would be downloaded and how much space would be taken on the hard drive." See the release announcement and visit the what's new page to learn more. Download: linuxmint-11-lxde-cd-32bit.iso (693MB, SHA256, torrent). Clement Lefebvre has announced the release of Linux Mint 11, code name "Katya": "The team is proud to announce the release of Linux Mint 11 'Katya'." This release brings improvements to software manager's user interface, new artwork, various system changes, and usability improvements to the update manager: "One of the biggest improvements made to the Update Manager is how it now handles dependencies. It only shows updates, not their dependencies. If the upgrade of a package requires additional changes to your system a dialog pops up with a summary to show you which packages will be installed or removed. This brings a permanent fix to the notorious 'Broken packages' message that used to appear before." Read the release announcement, release notes and what's new page for further details. Download (SHA256): linuxmint-11-gnome-dvd-32bit.iso (867MB, torrent), linuxmint-11-gnome-dvd-64bit.iso (864MB, torrent). Clement Lefebvre has announced that the release candidate for Linux Mint 11 is ready for download and testing: "The team is proud to announce the release of Linux Mint 11 'Katya' RC. Linux Mint 11 comes with updated software and brings refinements and new features to make your desktop even more comfortable to use. Linux Mint 11 comes as a live DVD. A live CD is also available for people without a DVD burner or distributors established in the USA and Japan. The live CD comes with fewer applications, no multimedia codecs and no restricted software, making it fit within 700 MB and safely distributable in countries where the legislation allows patents to apply to software." See the release announcement and the what's new page for more information. Download (SHA256): linuxmint-11-gnome-dvd-32bit-rc.iso (868MB, torrent), linuxmint-11-gnome-dvd-64bit-rc.iso (867MB, torrent). 2011-04-06 Distribution Release: Linux Mint 201104 "Xfce"
Clement Lefebvre has announced the release of Linux Mint 201104 "Xfce" edition, a Debian-based rolling-release distribution: "The team is proud to announce the release of Linux Mint Xfce. Linux Mint Xfce is rolling on top of a Debian 'Testing' package base and uses the same repositories as Linux Mint Debian edition. This offers the following advantages to Linux Mint Xfce: a huge performance boost; a continuous flow of updates which allows users to keep their system up to date without waiting for new releases; a more mainstream desktop and software selection; an easier maintenance for the team which makes it easier to release in both 32-bit and 64-bit with every Linux Mint Debian edition release." See the release announcement for full details. Download (SHA256): linuxmint-xfce-201104-dvd-32bit.iso (958MB, torrent), linuxmint-xfce-201104-dvd-64bit.iso (943MB, torrent). 2011-03-16 Distribution Release: Linux Mint 10 "LXDE"
Clement Lefebvre has announced the release of Linux Mint 10 "LXDE" edition, a lightweight desktop distribution based on Ubuntu 10.10: "The team is proud to announce the release of Linux Mint 10 LXDE." New in this release: "Linux Mint 10 LXDE comes with updated software and brings refinements and new features to make your desktop even more comfortable to use. The Software Manager gives you a nicer browsing experience, with a better categorization of software and the use of application icons. If you're not interested in receiving updates for a particular package, simply right click on it and tell the Update Manager to ignore updates for this package. The package will then be added to your 'ignore' list and you won't receive any updates for it in the future. The Update Manager now also shows you the size of your selected updates, so you know how much data you're about to download." For more details please read the release announcement and the release notes. Download (MD5): linuxmint-10-lxde-cd-i386.iso (683MB). 2011-02-23 Distribution Release: Linux Mint 10 "KDE"
Clement Lefebvre has announced the release of Linux Mint 10 "KDE" edition: "The team is proud to announce the release of Linux Mint 10 KDE." The release includes the new KDE 4.6 desktop as well as various improvements in Mint's software, update and upload managers: "This edition comes with the latest and recently released KDE 4.6. The Software Manager gives you a nicer browsing experience, with a better categorization of software and the use of application icons. If you're not interested in receiving updates for a particular package, simply right click on it and tell the Update Manager to ignore updates for this package. The package will then be added to your 'ignore' list and you won't receive any updates for it in the future." Read the release announcement for an overview of the main features and see the what's new page for a detailed list of improvements (with screenshots). Download (SHA256): linuxmint-10-kde-dvd-i386.iso (1,383MB, torrent), linuxmint-10-kde-dvd-amd64.iso (1,403MB, torrent). 2010-12-24 Distribution Release: Linux Mint 201012 "Debian"
Clement Lefebvre has announced the availability of a new build of the "Debian" edition of Linux Mint, a rolling-release distribution based on Debian's "Testing" branch: "What a better time than Christmas to bring all the best from 2010 into an updated release of Linux Mint 'Debian'. All Mint 10 features; 64-bit support; performance boost (using cgroup, the notorious '4 lines of code better than 200' in user-space); installer improvements (multiple HDDs, GRUB install on partitions, swap allocation, Btrfs support); better fonts (using Ubuntu's libcairo, fontconfig and Ubuntu Font Family) and language support; better connectivity and hardware support; better sound support (addressing conflicts between Pulse Audio and Flash); updated software and packages." The release announcement includes a brief FAQ and additional release notes. Download (MD5): linuxmint-debian-201012-gnome-dvd-i386.iso (985MB), linuxmint-debian-201012-gnome-dvd-amd64.iso (974MB). Clement Lefebvre has announced the release of Linux Mint 10, code name "Julia": "The team is proud to announce the release of Linux Mint 10. New features: install codecs and upgrade to the DVD edition from the welcome screen; the menu highlights newly installed applications and makes them easier to find; the menu finds and installs software from the repositories; addition of search engines to the menu's search box; Software Manager with a better categorization of software and use of application icons; update manager can ignore updates and shows download size; upload manager improvements; new look and feel featuring a traditional light theme and dark background; various system improvements...." Read the release announcement and visit the what's new page for more information about the new Mint. Download (MD5): linuxmint-10-gnome-dvd-i386.iso (832MB, torrent), linuxmint-10-gnome-dvd-amd64.iso (825MB, torrent). Clement Lefebvre has announced that the release candidate for the upcoming Linux Mint 10, is ready for download and testing: "The team is proud to announce the release of Linux Mint 10 RC. Linux Mint 10 comes with updated software and brings refinements and new features to make your desktop even more comfortable to use: the Welcome screen will now give you the opportunity to install the missing multimedia codecs and to upgrade to the DVD edition; the menu highlights your newly installed applications and makes them easier to find; available applications are easy to find too - the menu is aware of what's available in your repositories so you can search for software and install packages without opening the software manager; the Software Manager gives you a nicer browsing experience...." Read the brief release announcement and visit the what's new page to learn more about the next stable version of Linux Mint. Download: linuxmint-10-gnome-rc-i386.iso (695MB, SHA256, torrent), linuxmint-10-gnome-rc-amd64.iso (692MB, SHA256, torrent). 2010-09-07 Distribution Release: Linux Mint 201009 "Debian"
An interesting diversion for the developers of Linux Mint - the usual Ubuntu base has been replaced with Debian's testing branch to create a new, rolling-release edition of Linux Mint. From the announcement: "Today is very important for Linux Mint. It's one day to remember in the history of our project as we're about to maintain a new distribution, a rolling one, which promises to be faster, more responsive and with which we're less reliable on upstream components. Linux Mint Debian edition (LMDE) comes with a Debian base, which we transformed into a live media and on top of which we added a new installer. It's rougher and in some aspects not as user-friendly as our other editions, it's very young but it will improve continuously and rapidly." Here is the full release announcement with a brief FAQ section. Download: linuxmint-debian-201009-gnome-dvd-i386.iso (875MB, MD5, torrent). 2010-09-06 Distribution Release: Linux Mint 9 "Fluxbox"
Clement Lefebvre has announced the release of Linux Mint 9 "Fluxbox" edition, a lightweight variant of the popular Ubuntu-based distribution with many usability tweaks: "The team is proud to announce the release of Linux Mint 9 'Fluxbox'. Based on Lubuntu 10.04 Lucid Lynx, Linux 2.6.32, Fluxbox 1.1.2 and X.Org 7.6, this edition features a lot of improvements and the latest software from the open-source world. Featured improvements in this release: 30,000 applications catalogued and viewable both online and in the new software manager, brand new incremental backup tool for both data and software selection, USB installers, 3 years of support, look & feel improvements." Read the release announcement and visit the what's new page to learn more about the least resource-hungry edition of Linux Mint. Download: linuxmint-9-fluxbox-cd-i386.iso (615MB, MD5, torrent). 2010-08-24 Distribution Release: Linux Mint 9 "Xfce"
Clement Lefebvre has announced the availability of the Xfce edition of Linux Mint 9: "The team is proud to announce the release of Linux Mint 9 Xfce. Based on Xubuntu 10.04 'Lucid Lynx', Linux 2.6.32, Xfce 4.6.1 and X.Org 7.4, Linux Mint 9 'Isadora' Xfce features a lot of improvements and the latest software from the open-source world. New features at a glance: new Software Manager - 30,000 packages, review applications straight from Software Manager, APT daemon, visual improvements; new backup tool - incremental backups, compression, integrity checks, backup/restoration of the software selection; better look and feel; new Thunar move to trash and delete options; system improvements - Windows installer, Husse quotes, USB Creator, Default software selection, local repository...." See the release announcement and visit the what's new page for further details. Download: linuxmint-9-xfce-cd-i386.iso (696MB, MD5), linuxmint-9-xfce-cd-amd64.iso (689MB, MD5). 2010-07-28 Distribution Release: Linux Mint 9 "KDE"
Clement Lefebvre has announced the release of Linux Mint 9 "KDE" edition: "The team is proud to announce the release of Linux Mint 9 KDE. Linux Mint 9 KDE is available in 32-bit and 64-bit as a liveDVD, via Torrent and HTTP download. Based on Kubuntu 10.04 Lucid Lynx, Linux 2.6.32, KDE 4.4.4, X.Org 7.5 and Amarok 2.3.0, this edition features a lot of improvements and the latest software from the Open Source World. Featured improvements in this release: KDE Network Manager, new applications, 30,000 applications catalogued and reviewable both online and in the new software manager, brand new incremental backup tool for both data and software selection, USB and Windows installers, 3 years support, look and feel improvements." See the release announcement, release notes and what's new pages for further details. Download: linuxmint-9-kde-dvd-i386.iso (1,290MB, MD5, torrent), linuxmint-9-kde-dvd-amd64.iso (1,382MB, MD5, torrent). 2010-07-18 Distribution Release: Linux Mint 9 "LXDE"
Linux Mint 9 "LXDE" edition, featuring the lightweight LXDE desktop and designed for older computers with limited resources, has been released: "The team is proud to announce the release of Linux Mint 9 LXDE. Based on Lubuntu 10.04, Linux kernel 2.6.32, Openbox 3.4.10, LXSession 0.4.3, and X.Org Server 1.7.5, Linux Mint 9 LXDE features a complete desktop computing experience while being easy on system resource usage thus making it suitable for older hardware and situations where speed is a crucial factor. Featured improvements in this release: LXDM, improved PCManFM2 file manager, VLC installed by default, 30,000 applications catalogued and reviewable both online and in the new software manager, brand new incremental backup tool for both data and software selection, three years support." See the release announcement and release notes for further information. Download (MD5): linuxmint-9-lxde-cd-i386.iso (595MB, torrent). Linux Mint 9, code name "Isadora", has been released: "The team is proud to announce the release of Linux Mint 9 'Isadora'. New features at a glance: new Software Manager - 30,000 packages, review applications straight from Software Manager, APT daemon, visual improvements; new backup tool - incremental backups, compression, integrity checks, backup and restoration of the software selection; Menu improvements - editable items, transparent menu, always start with favorites, 'Add to' shortcuts; desktop settings - changes apply immediately, additional options; better look and feel - backgrounds, welcome screen, update manager; system improvements - Windows installer, Husse quotes, USB Creator, default software selection, local repository and Gnome-PPP, APT hold/unhold/held commands...." Read the release announcement release announcement and visit the what's new page to learn more about the new version. Download (MD5): linuxmint-9-gnome-dvd-i386.iso (763MB, torrent), linuxmint-9-gnome-dvd-amd64.iso (757MB, torrent). Clement Lefebvre has announced that the first release candidate for Linux Mint 9 is out and ready for testing: "The team is proud to announce the release of Linux Mint 9 'Isadora' RC. New features at a glance: new Software Manager - 30,000 packages, review applications straight from the Software Manager, APT daemon, visual improvements; new backup tool - incremental backups, compression, integrity checks; menu improvements - editable items, transparent menu, always start with favorites, 'Add to' shortcuts; desktop settings - changes apply immediately, additional options; better look and feel - backgrounds, welcome screen, Update Manager; system improvements - Windows installer, Husse quotes, USB Creator, default software selection...." See the release announcement and the what's new page for a detailed list of new features, with screenshots. Download (MD5): linuxmint-9-gnome-rc-i386.iso (673MB, torrent), linuxmint-9-gnome-rc-amd64.iso (673MB, torrent). 2010-03-31 Distribution Releases: Linux Mint 8 "Xfce" and "LXDE"
Clement Lefebvre has announced the availability of two new community editions of Linux Mint 8 - with Xfce and LXDE desktops: "The team is proud to announce the release of Linux Mint 8 Xfce Community edition. Based on Xubuntu 9.10 'Karmic Koala', Linux 2.6.31, Xfce 4.6.1 and X.Org 7.4, Linux Mint 8 Xfce CE features a lot of improvements and the latest software from the open-source world. Featured improvements in this release: OEM installation, possibility to ignore updates, configurable menu places, multiple selection in the Software Manager, new system tray File Uploader with support for drag and drop and multiple files uploads. Based on Linux Mint 8 Main edition, Openbox 3.4.7.2 and PCManFM 0.5.2, Linux Mint 8 LXDE edition features a complete and familiar desktop experience while being low on resource usage and is suitable for a good variety of older hardware." Here are the two release announcements - Mint 8 "Xfce" and Mint 8 "LXDE". Download (MD5): LinuxMint-8-Xfce.iso (695MB, torrent), LinuxMint-8-LXDE.iso (669MB, torrent). 2010-02-12 Distribution Releases: Linux Mint 8 "Fluxbox" and "KDE64"
Clement Lefebvre has announced the release of Linux Mint 8 "Fluxbox" edition: "The team is proud to announce the release of Linux Mint 8 'Helena' Fluxbox Community Edition. This release has been built with the emphasis on a lightweight and yet fully functional desktop centered on the Fluxbox window manager. Even though we strive to provide out-of-the-box readiness for all your hardware and common computing tasks, Linux Mint Fluxbox CE is easily configurable to run on lower-spec hardware with the tools needed for doing so readily available." See the release announcement, what's new page, and the release notes. Download (MD5): LinuxMint-8-Fluxbox.iso (656MB, torrent). Also released is Linux Mint 8 "Helena" KDE64 Community Edition, which "is identical to the KDE Edition but compiled for 64 bit processors (Intel Core 2 Duo, Intel Core 2 Quad, AMD Athlon X2 64 and all x86-64 compliant processors." Check the release announcement. Download (MD5): LinuxMint-8-KDE64.iso (1210MB, torrent). 2010-02-07 Distribution Release: Linux Mint 8 "KDE"
Clement Lefebvre has announced the release of Linux Mint 8 "KDE" edition: "The team is proud to announce the release of Linux Mint 8 'Helena' KDE Community edition. The KDE Community edition aims to provide a version of Linux Mint which uses the KDE desktop. This edition is based on Kubuntu 9.10, Linux 2.6.31, X.Org 7.4 and it comes with the latest KDE 4.3.4 and Amarok 2.2.1. Featured improvements in this release: OEM installation, possibility to ignore updates, multiple selection in Software Manager. Software Manager's graphical interface is now easier to use and it shows more content. The layout was changed and by putting the screenshots in the corner of the application you can now see more software and more reviews at once. You don't need to manually refresh Software Manager any more. When new data is available you get notified by Update Manager." See the release announcement, release notes and what's new pages for further details. Download: LinuxMint-8-KDE.iso (1,108MB, MD5, torrent). Clement Lefebvre has announced the release of Linux Mint 8, a beginner-friendly, Ubuntu-based desktop Linux distribution: "The team is proud to announce the stable release of Linux Mint 8, code name 'Helena'. The 8th release of Linux Mint comes with numerous bug fixes and a lot of improvements. In particular, Linux Mint 8 comes with support for OEM installs, a brand new Upload Manager, the menu now allows you to configure custom places, the update manager now lets you define packages for which you don't want to receive updates,the software manager now features multiple installation and removal of software and many of the tools' graphical interfaces were enhanced." Read the release announcement and visit the what's new page (with screenshots) to find out more about the new release. Download (mirrors) the installable live CD image from here: LinuxMint-8.iso (688MB, MD5, torrent). Clement Lefebvre has announced the availability of the first release candidate for Linux Mint 8, code name "Helena": "The team is proud to announce the release of Linux Mint 8 RC1. The 8th release of Linux Mint comes with numerous bug fixes and a lot of improvements. In particular Linux Mint 8 comes with support for OEM installs, a brand new Upload Manager, the menu now allows you to configure custom places, the update manager now lets you define packages for which you don't want to receive updates, the software manager now features multiple installation and removal of software and many of the tools' graphical interfaces were enhanced. As a release candidate, this release is targeted at developers and beta testers who want to help Linux Mint find and correct bugs before the stable release. Please do not use this release as your main desktop." Read the release announcement and visit the release notes and the what's new pages to learn more about the new Linux Mint. Download: LinuxMint-8-RC1.iso (688MB, MD5, torrent). 2009-09-13 Distribution Release: Linux Mint 7 "Xfce"
Clement Lefebvre has announced the release of Linux Mint 7 "Xfce", a community edition of Linux Mint featuring the Xfce desktop: "The team is proud to announce the release of Linux Mint 7 'Gloria' Xfce. Based on Xubuntu 9.04, Linux kernel 2.6.28, Xfce 4.6 and X.Org 7.4, Linux Mint 7 Xfce features many improvements and the latest software from the open source world. What's new? mintInstall improvements - featured applications, pre-filled information, seamless screenshots downloads, improved GUI layout; mintUpdate improvements - changelogs, package sizes, usability; mintUpload improvements - ads-free, GUI improvements, graphical service manager, SCP/SFTP support; mintWelcome welcome screen; command line goodies - APT version, RTFM; new artwork; Moonlight plugin and support for Silverlight 1.x, signed repositories...." Read the release announcement and release notes for a detailed list of all improvements. Download: LinuxMint-7-XFCE.iso (694MB MD5, torrent). 2009-08-03 Distribution Release: Linux Mint 7 "KDE"
Clement Lefebvre has announced the release of the "KDE" edition of Linux Mint 7: "The team is proud to announce the release of Linux Mint 7 'KDE'. Based on Kubuntu 9.04, Linux 2.6.28, KDE 4.2.4 and X.Org 7.4, Linux Mint 7 'KDE' community edition features a lot of improvements and the latest software from the open source world." Highlights: "KDE 4.2.4 and Amarok 2.1 - the latest and shiniest KDE desktop and applications; mintInstall improvements - featured applications, pre-filled information, seamless screenshot downloads, improved GUI layout; mintUpdate improvements - changelogs, package sizes, usability; mintUpload improvements - ads-free, GUI improvements, graphical service manager, SCP/SFTP support; mintWelcome; command-line goodies - APT version, RTFM...." See the release announcement and release notes for further information. Download: LinuxMint-7-KDE.iso (1,112MB, MD5, torrent). 2009-06-24 Distribution Release: Linux Mint 7 "x86_64"
Clement Lefebvre has announced that the 64-bit edition of Linux Mint 7 is now available: "The team is proud to announce the release of Linux Mint 7 'x86_64'. This edition of Linux Mint 7 is almost identical to the main edition but, compiled for 64-bit processors (Intel Core 2 Duo, Intel Core 2 Quad, AMD Athlon X2 64 and all x86_64 compliant processors). It comes with all the improvements featured in Linux Mint 7 main edition. Known issues: the root password is now the same as the one chosen during the installation, a blog post will follow to explain why and how this was implemented; if you're using Mint tools in other distributions, make sure to turn off the adjustment system by editing mintSystem.conf." Read the rest of the release announcement for more information. Download (MD5): LinuxMint-7-x64.iso (694MB). Clement Lefebvre has announced the release of Linux Mint 7: "The team is proud to announce the release of Linux Mint 7 'Gloria'. The 7th release of Linux Mint comes with numerous bug fixes and a lot of improvements. In particular the menu system, the application manager and the upload manager now provide new features such as 'Suggestions', 'Featured applications', 'SCP and SFTP support'. The underlying base of the operating system was also strengthened with a new adjustment mechanism which makes Linux Mint more robust and less vulnerable to Ubuntu package upgrades, and the introduction of virtual and meta packages which simplify upgrade paths and the installation of multiple desktop environments." Here is the full release announcement and features overview for a detailed list of new features and screenshot. Download (MD5) either the standard of the "Universal" edition (with extensive language support, but without proprietary drivers or media codecs): LinuxMint-7.iso (697MB, torrent), LinuxMint-7-Universal.iso (1,375MB, torrent). Clement Lefebvre has announced the availability of the first release candidate for Linux Mint 7, code name "Gloria": "The team is proud to announce the release of Linux Mint 7 RC1 'Gloria'. The 7th release of Linux Mint comes with numerous bug fixes and a lot of improvements. In particular, the menu system, the application manager and the upload manager now provide new features, such as 'Suggestions', 'Featured applications', 'SCP and SFTP support'. The underlying base of the operating system was also strengthened with a new adjustment mechanism which makes Linux Mint more robust and less vulnerable to Ubuntu package upgrades, and the introduction of virtual and meta packages which simplify upgrade paths and the installation of multiple desktop environments." Read the rest of the release announcement for information about system requirements and how to report bugs. Download (MD5) the installable live CD image from here: LinuxMint-7-RC1.iso (686MB, torrent). 2009-04-08 Distribution Release: Linux Mint 6 "KDE"
Clement Lefebvre has announced the release of Linux Mint 6 "KDE" edition: "On behalf of the team I am thrilled to announce the release of Linux Mint 6 KDE. Based on Kubuntu 8.10 'Intrepid Ibex', Linux kernel 2.6.27, KDE 4.2.0 and X.Org 7.4, Linux Mint 6 'Felicia' KDE Community edition comes with a brand new software manager, FTP support in mintUpload, proxy support and history of updates in mintUpdate, mint4win (a Linux Mint installer for Microsoft Windows), and a lot of other improvements. Linux Mint now uses its own LSB information and no longer identifies itself to applications as Ubuntu. This can potentially break compatibility with some third-party tools. Meta packages were introduced within the repositories to reflect the default selection of packages for the various Linux Mint editions. The artwork now also comes as a package." See the release announcement and release notes for more details. Download (MD5): LinuxMint-6-KDE.iso (1,107MB, torrent). 2009-04-07 Distribution Release: Linux Mint 6 "Fluxbox"
Clement Lefebvre has announced the release of Linux Mint 6 "Fluxbox" edition, a lightweight variant of the popular Ubuntu-based distribution: "The team is proud to announce the release of Linux Mint 6 Fluxbox Community edition. Linux Mint Fluxbox Community edition is based on Xubuntu 8.10 'Intrepid Ibex', Linux kernel 2.6.27, Fluxbox 1.0.0 and X.Org 7.4. Included is an all-new menu system, Mint-FM2, Slim as a display manager, live CD features that should make it easier to install on low-end machines, a brand new software manager, FTP support in mintUpload, proxy support and history of updates in mintUpdate, mint4win (a Linux Mint installer for Microsoft Windows), and much more minty goodness." Read the rest of the release announcement and release notes for further details. Download (MD5): LinuxMint-6-Fluxbox.iso (613MB, torrent). 2009-02-24 Distribution Release: Linux Mint 6 "Xfce"
Clement Lefebvre has announced the release of Linux Mint 6 "Xfce" edition: "The team is proud to announce the release of Linux Mint 6 Xfce Community edition. Based on Xubuntu 8.10 'Intrepid Ibex', Linux kernel 2.6.27, Xfce 4.4.2 and X.Org 7.4, Linux Mint 6 'Xfce' comes with a brand new software manager, FTP support in mintUpload, proxy support and history of updates in mintUpdate, mint4win (a Linux Mint installer for Microsoft Windows), and many other improvements. The Linux Mint 'Xfce' Community edition comes with the Xfce desktop and provides most of the functionality found in the main edition while taking fewer resources. This edition is ideally suited to laptop users with 512 MB of RAM or less as it represents a very nice compromise between a full-featured desktop and a fast and light operating system." Read the release announcement and release notes for further details. Download: LinuxMint-6-XFCE.iso (694MB, MD5). 2009-02-07 Distribution Release: Linux Mint 6 "x86_64"
Clement Lefebvre has announced the release of Mint 6 "x86_64" edition, an Ubuntu-based distribution designed for computers with 64-bit processors: "On behalf of the team I am proud to announce that Linux Mint 6 'Felicia' is now available in a 64-bit edition. This release comes with all the innovations featured in Linux Mint 6 and, for the very first time, with the 64-bit editions of the Adobe Flash and Sun Java plugins! The purpose of the x86_64 edition is to offer the same desktop features as the main edition but in a 64-bit environment. It aims to be as similar to the main edition as possible. More packages are available for i386 than they are for x86_64 and the main edition is also slightly more stable than its 64-bit equivalent. The main edition only recognizes a maximum of 4 GB RAM though and even on computers with less than 4 GB RAM the performance gain provided by x86_64 over the main edition can significantly enhance the user's experience." Read the rest of the release announcement for more details. Download: LinuxMint-6-x64.iso (682MB, MD5). Clement Lefebvre has announced the release of Linux Mint 6, code name "Felicia": "The team is proud to announce the release of Linux Mint 6 'Felicia'. Based on Ubuntu 8.10 'Intrepid Ibex', Linux 2.6.27, GNOME 2.24 and X.Org 7.4, Linux Mint 6 comes with a brand new software manager, FTP support in mintUpload, proxy support and history of updates in mintUpdate, mint4win (a Windows installer), tabbed browsing in Nautilus and a lot of other improvements." Besides the main edition, the project has also announced a new Linux Mint 6 "Universal" edition, a complete Linux Mint live DVD with support for dozens of languages, but without any media codecs (these can be installed separately). Consult the release announcement and feature overview for system requirements, known issues and upgrade instructions. Download: LinuxMint-6.iso (664MB, MD5). Clement Lefebvre has announced the availability of the first release candidate for Linux Mint 6, now based on the recently released Ubuntu 8.10: "Linux Mint 6 'Felicia' RC1 released! Based on Ubuntu 8.10 'Intrepid Ibex', Linux kernel 2.6.27, GNOME 2.24 and X.Org 7.4, Linux Mint 6 comes with a brand new software manager, FTP support in mintUpload, proxy support and history of updates in mintUpdate, tabbed browsing in Nautilus and a lot of other improvements. Highlights: mintInstall 5, the software manager with a new offline front-end, support for multiple portals, versions information; mintUpdate 3, a brand new update manager with a new GUI, history of applied updates, proxy support, improved stability; mintUpload 2 with FTP support; mintNanny - minimal parental control...." Read the release announcement and release notes for further information. Download (MD5): LinuxMint-6-RC1.iso (662MB). 2008-10-21 Distribution Release: Linux Mint 5 "Fluxbox"
Clement Lefebvre has announced the final release of Linux Mint 5 "Fluxbox" edition: "Linux Mint is proud to announce the release of Linux Mint 5 'Elyssa' Fluxbox Community edition. This edition, maintained by Shane Joe Lazar, brings you the best and most essential tools from the Main and Xfce editions on top of an extremely thin desktop and the lightweight Fluxbox window manager. New features: auto-generated and auto-updating Fluxbox menu, multimedia compatibility with all available codecs and plugins pre-installed, Thunar custom actions, better language and localization support, and attractive themes with a predominant green bias." Read the release announcement and release notes for further details. Download: LinuxMint-5-Fluxbox.iso (562MB, MD5). 2008-09-12 Development Release: Linux Mint 5 RC1 "Fluxbox"
Clement Lefebvre has announced the first release candidate for Linux Mint 5 "Fluxbox" edition: "Linux Mint 5 Fluxbox Community edition RC1 is out and available for download. New features: mint-mfm - the most radical feature of Linux Mint Fluxbox is the auto-generated and auto-updating Fluxbox menu; full desktop environment functionality; Minty goodness - the Linux Mint specific applications all included; multimedia compatibility; Thunar custom actions; better language support; sharp and pleasant look with a predominantly green bias. Default software selection: Firefox 3 web browser, Pidgin instant messenger, Sylpheed mail client, Transmission BitTorrent client, wicd network manager, AbiWord word processor, Gnumeric spreadsheet application, Orage calendar application, MPlayer movie player, Brasero disc burning application, The GIMP...." Read the release announcement and release notes for further information. Download (MD5): LinuxMint-5-Fluxbox-RC1.iso (562MB). 2008-09-08 Distribution Release: Linux Mint 5 "Xfce"
Clement Lefebvre has announced the release of Linux Mint 5 "Xfce" edition: "We are proud to announce the release of Linux Mint 5 Xfce Community edition." Some of the new features found in this release include: miscellaneous improvements to Mint tools, such as a new layout and more options to customise desktop in mintDesktop; desktop improvements that allow checking the MD5 checksum of an ISO image or install TrueType fonts with a right click; performance improvements that have drastically reduced memory usage; upstream improvements from Ubuntu, including the new ufw firewall and better printing; better look and feel through subtle refinements of the existing GTK+ widgets and a variety of new themes; better localization thanks to ongoing translation effort by the Linux Mint community; more available software via CNR.com." There is a lot more so read the comprehensive release notes for details. Download: LinuxMint-5-XFCE.iso (681MB, MD5). 2008-08-05 Development Release: Linux Mint 5 RC1 "KDE"
The first release candidate for the KDE Community edition of Linux Mint 5 is out and ready for testing: "Linux Mint 5 'Elyssa' KDE Community edition RC1 (BETA 045) was released today. This is the first beta release of the KDE Community edition for Linux Mint 5, codename 'Elyssa', based on 'Daryna' and compatible with Ubuntu 'Hardy' and its repositories. Note: this is not a KDE 4 desktop. The packages and kernel were updated to be on par with Ubuntu 8.04.1. Mint applications: mintInstall, mintWifi, mintUpdate, mintAssistant, mintUpload (done via Konqueror). Known issues: the release notes link on the first page of the installer does not open Firefox; if you use a separate partition for /boot you will not get a graphical boot; because of compatibility problems PulseAudio was not included in this release...." Read the full release announcement and release notes for more details. Download: LinuxMint-5-KDE-BETA-045.iso (1,192MB, MD5). 2008-07-18 Development Release: Linux Mint 5 RC1 "Xfce"
The first release candidate (marked as BETA 025) for Linux Mint 5 "Elyssa" Xfce Community Edition is out and available for download: "This is the first BETA release of the Xfce Community Edition for Linux Mint 5, codename Elyssa, based on Daryna and compatible with Ubuntu Hardy and its repositories. All mint applications were improved in Elyssa. For the list improvements of mintUpdate, mintUpload and mintInstall, read the Elyssa Main release notes... mintUpdate was refactored and its memory usage was drastically reduced. On some systems the amount of RAM used by mintUpdate after a few days went from 100MB to 6MB. Mozilla also greatly improved the memory usage in Firefox between version 2 and 3. Elyssa comes with kernel version 2.6.24 which features a brand new scheduler called CFS (Completely Fair Scheduler). The kernel scheduler is responsible for the CPU time allocated to each process. With CFS the rules have changed." Read the full release notes and the brief release announcement for further information. Download: LinuxMint-5-XFCE-BETA-025.iso (682MB, MD5). Clement Lefebvre has announced the release of Linux Mint 5.0, an enhanced and user-friendly desktop Linux distribution based on Ubuntu 8.04: "It is with great pleasure that I officially announce the release of Linux Mint 5 Elyssa." Among the many new characteristics of this release the most notable are: miscellaneous improvements to mintMenu, mintUpdate and mintInstall; various feature enhancements on the GNOME desktop; performance improvements through reduced memory usage; improved usability compliant with the GNOME Human Interface Guidelines; more available software and better localisation; changes in default software selection (Transmission, Rhythmbox, Brasero...); upstream improvements, including the PulseAudio sound server and a new command-line firewall configuration tool. Read the brief release announcement and check out the comprehensive release notes for further information. Download: LinuxMint-5-r1.iso (691MB, MD5). Besides the standard edition, Linux Mint 5 "Light", containing no proprietary software and restricted file formats, is also available. Clement Lefebvre has announced the second and final release candidate for Linux Mint 5.0: "The second (and last) release candidate for Linux Mint 5 'Elyssa' is out and available for download. Changes since RC1: Upgraded to Firefox 3.0 RC1; upgraded to Flash 10; added mintBackup; added Aurora GTK+ engine; changed the way gnome-do is launched (to full mode, not mini); fixed in mintupdated (apt update if cache update fails) and mintAssistant (locked root account); increased compatibility with Ubuntu 'Hardy'; improved file sharing; added Seahorse; improved en-US language support, spell-checking in particular; added Bogofilter; fixed 'About me'; improved printing support and added new drivers; improved Bash completion when used behind sudo; fixed shut-down usplash problem; added a lot of nice wallpapers from the community; little touches in Compiz (grey caps, addition of compiz-check script)." Read the release announcement and release notes for more information. Download: LinuxMint-5-BETA-048.iso (690MB, MD5). Clement Lefebvre has announced the availability of the first development release of Linux Mint 5.0, code name "Elyssa" and based on the recently released Ubuntu 8.04: "After many sleepless nights and a lot of work, I am delighted to announce that the first release candidate for Linux Mint 5 'Elyssa' was released and that it is now available for download." What's new? A long list of miscellaneous improvements to mintMenu, mintUpdate and mintInstall; various feature enhancements on the GNOME desktop, performance improvements through reduced memory usage; improved look and feel; more available software; changes in default software selection (Transmission, Rhythmbox, Brasero...); upstream improvements. See the release announcement and read the detailed release notes for further information. Download: LinuxMint-5-BETA-032.iso (674MB, MD5). 2008-03-03 Distribution Release: Linux Mint 4.0 "KDE"
Clement Lefebvre has announced the final release of Linux Mint 4.0 KDE Community edition: "Linux Mint 4.0 KDE released. Daryna KDE is nearly as 'minty' as the main edition now. The packages are (safely) up to date and the kernel is the Ubuntu Gutsy Gibbon kernel 2.6.22. Mint applications: mintInstall, mintWifi, mintUpdate, mintAssistant, mintUpload. Minted versions of Firefox, Sunbird. Changes since the beta release: fixed the HAL USB NTFS problem; changed some Compiz default settings to make it more 'KDE-ish' and fix a known bug; added a Linux Mint user agent to Konqueror and pre-added some sites to use the Mint user agent. This helps people know Linux Mint is out and about." Read the rest of the release notes for known issues, installation instructions and upgrade notes. Download (MD5): LinuxMint-4.0-KDE.iso (996MB). 2008-01-22 Development Release: Linux Mint 4.0 RC2 "KDE"
Clement Lefebvre has announced the second release candidate for Linux Mint 4.0 "KDE" edition: "The second release candidate for Linux Mint 4.0 Daryna KDE Community Edition is out and available for download. Daryna KDE is nearly as 'minty' as the main edition now. The packages are (safely) up-to-date and the kernel is the Gutsy Gibbon kernel 2.6.22. Mint applications: mintInstall, mintwifi, mintUpdate, mintAssistant, mintUpload. 'Minted' versions of Firefox, Sunbird. Known issues: When shutting down or restarting the live CD it will freeze about 25% of the time at the last step. I had this problem with Gutsy too and have not found a fix for it. This happens more in virtual machines than on real ones. After adding new users log in and check their KMix settings because they will have no sound. Check the output and PCM levels." See the full release notes for more information. Download (MD5): LinuxMint-4.0-KDE-BETA-044.iso (1,002MB, torrent). 2008-01-04 Development Releases: Linux Mint 4.0 Beta "Fluxbox", 4.0 Alpha "Debian"
Clement Lefebvre announced the release of Linux Mint 4.0 Fluxbox CE Beta 028, the first ever release of a Fluxbox-based Linux Mint Community Edition, which will be followed by a stable release: "The first BETA of Linux Mint 4.0 Daryna Fluxbox Community Edition was released. Maintained in Romania by Shane Joe Lazar, this edition replaces Gnome with Fluxbox to provide a much more lightweight operating system." Follow the announcement and the release notes for related information. Also announced is Linux Mint 4.0 Debian Edition Alpha 023, labelled as Alpha to show that it is a preview and won't be followed by any Beta or stable release: "We ported our desktop on top of Debian Testing and the result is very interesting. This Alpha release comes as a non-installable liveCD and gives an idea of how Linux Mint would behave if it was to switch base and adopt Debian as its supporting technology." The announcement and the release notes. Download: LinuxMint-4.0-Fluxbox-BETA-028.iso (513MB, MD5) and LinuxMint-4.0-Debian-ALPHA-023.iso (695MB, MD5). Clement Lefebvre has announced the final release of Linux Mint 4.0, code name "Daryna": "Linux Mint 4.0, codename Daryna, was officially released today in both Main and Light editions. What's new in Daryna: mintUpdate - get automatic updates without compromising the stability of the system; mintInstall & the Software Portal - interact with mintInstall without starting from the Portal; mintDesktop improvements - major improvements in terms of usability; Liberation fonts; CompizFusion; upstream improvements - Gnome 2.20, Linux kernel 2.6.22; new repository structure. What makes Daryna ideal for the desktop? Out-of-the-box multimedia support; Windows integration (dual-boot, NTFS read/write support, migration assistant); one-click install system; easy file sharing (mintUpload)...." See the release notes for more detailed information about the product. Download (MD5): LinuxMint-4.0.iso (689MB, torrent). 2007-11-05 Development Release: Linux Mint 4.0 Beta 1 "KDE"
Clement Lefebvre has announced the first beta release of Linux Mint 4.0, "KDE" edition: "This is the first BETA release of Linux Mint 4.0 KDE CE, codename Daryna, based on Celena Xfce CE and compatible with Ubuntu Gutsy and its repositories. Daryna KDE is not as minty as the main edition but it is mintier than Cassandra KDE. The packages are (safely) up to date and the kernel is the Gutsy Gibbon kernel 2.6.22-14. Mint applications: mintInstall, mintUpdate (new), mintAssistant (new). Minted versions of Firefox, Sunbird. For those of you out there who only have a CD burner or only a CD-ROM, there will be a Daryna miniKDE CE when the final release is ready." Read the rest of the release notes for more info and known issues. Download (MD5) the DVD image via BitTorrent: LinuxMint-4.0-KDE-beta-011.iso (1,076MB). 2007-11-02 Development Release: Linux Mint 4.0 Beta 1 "Xfce"
Clement Lefebvre has announced the first beta release of Linux Mint 4.0, Xfce edition: "This is the first beta release of Linux Mint 4.0 Xfce CE, code name Daryna, based on Celena Xfce CE and compatible with Ubuntu Gutsy and its repositories. Daryna is using Gutsy's package base (kernel 2.6.22, Xfce 4.4.1, OpenOffice.org 2.3, Thunderbird 2.0, Sunbird 0.7, etc). What's new in Daryna? With mintUpdate you can now get automatic updates without compromising the stability of your system. A new frontend to mintInstall now allows you to search the portal directly from your desktop. mintDesktop got major improvements in terms of usability and now has an extra feature which lets you restore the default artwork coming with Linux Mint. Compiz Fusion." Read the release notes for a detailed list of changes and screenshots. Download via BitTorrent: LinuxMint-4.0-XFCE-BETA-008.iso (689MB). Clement Lefebvre has announced the availability of the first beta release of Linux Mint 4.0, code name "Daryna", now based on the recently released Ubuntu 7.10: "The first release candidate for Linux Mint 4.0 Daryna is out and available for download. What's new in Daryna? With mintUpdate you can now get automatic updates without compromising the stability of your system. And a new frontend to mintInstall now allows you to search the portal directly from your desktop. mintInstall itself was also made more intuitive and improvements were made to its interface. mintDesktop got major improvements in terms of usability and now has an extra-feature which lets you restore the default splash-screens for OpenOffice.org, GIMP and Amarok." Read the rest of the release notes for further details and screenshots. Download (MD5): LinuxMint-4.0-BETA-021.iso (688MB, torrent). Linux Mint 3.1, code name "Celena", has been released: "This is Linux Mint 3.1, codename Celena, based on Cassandra and compatible with Ubuntu Feisty and its repositories. New in Celena: mintAssistant - a first-run wizard and lets the user fine-tune the system; mintUpload - allows the user to upload any file smaller than 10MB on the Internet; new artwork; print to PDF; improved stability; improved performance; new tools and upgrades - Firefox was upgraded to version 2.0.0.6, Pidgin to version 2.1.1, mintMenu and mintInstall were upgraded to the latest versions; Tomboy Notes was fixed in order not to show the start note the first time Linux Mint is run, AptOnCD is now installed by default to let the user backup his selection of packages, a new apt command which provides all main features from apt-get, apt-cache and aptitude...." Read the comprehensive release notes for a full list of changes and updates. Download (MD5) the CD image via BitTorrent: LinuxMint-3.1.iso (691MB). Clement Lefebvre has announced the second public beta release of Linux Mint 3.1, code name "Celena": "The second (and hopefully last) BETA for Celena is out and available for download. As BETA 017 already reached code-freeze most changes between the two releases are bug fixes. The only new feature is the introduction of the apt command which will make it easier for command line users to deal with the various APT commands previously found in apt-get, apt-cache and aptitude. Changes: language Support was fixed; kernel updates were removed from mintAssistant; Envy was fixed; Ubiquity now downloads necessary packages for the selected language to work out of the box; fixes in GDM (screenshot, sound file); mintInstall now uses Cassandra's and Celena's repositories; Beagle and Evolution were removed from the autostart of the GNOME session...." More information in the release notes. Download (MD5) via BitTorrent: LinuxMint-3.1-BETA-021.iso (691MB). Clement Lefebvre has announced the first beta release of Linux Mint 3.1, code name "Celena": "This is the first BETA release for Linux Mint 3.1, codename Celena, based on Cassandra and compatible with Ubuntu Feisty and its repositories. Celena is using Cassandra's base (kernel 2.6.20, GNOME 2.18). New in Celena: mintAssistant - a first-run wizard that lets the user fine-tune his system; mintUpload - allows the user to upload any file smaller than 10MB on the Internet; new artwork; print to PDF; improved stability and performance; new tools and upgrades - Firefox 2.0.0.6 and Pidgin 2.1.1; mintMenu and mintInstall upgraded to the latest version; Tomboy Notes was fixed in order no to show the start note the first time Linux Mint is run; AptOnCD is now installed by default to let the user backup his selection of packages...." Read the complete release notes for further details. Download (MD5) the CD image via BitTorrent: LinuxMint-3.1-BETA-017.iso (699MB). 2007-08-14 Distribution Release: Linux Mint 3.0 "KDE"
Clement Lefebvre has announced the release of Linux Mint 3.0 "KDE Community" edition: "The KDE Community Edition of Cassandra is finally out! This release is based on Bianca KDE and compatible with all Feisty repositories. It comes with KDE 3.5.6 and a Linux kernel 2.6.20. OpenOffice.org, Thunderbird and Sunbird replaced KOffice and Kontact. Beryl 0.2.1 is included with Beryl-Manager. The default software selection includes: Dolphin 0.8.1, Tasty Menu 0.8.2, Amarok 1.4.6, K3B 1.0, Scribus 1.2.5, KMyMoney 0.8.5, Sun Java 6, Digikam, GIMP.... This desktop-ready KDE Mint has all the usual Minty goodness for the web and media applications. I have made the choice to make the Mint KDE Community edition more pro-desktop and to mirror the main edition closer with respect to the main applications." Read the complete release notes for further details. Download via BitTorrent: LinuxMint-3.0-KDE.iso (961MB). 2007-08-07 Distribution Release: Linux Mint 3.0 "Xfce"
Clement Lefebvre has announced the release of the Xfce Community edition of Linux Mint 3.0: "This is the first Xfce release of Linux Mint. It is based on Cassandra and comes with the following mint tools: mintInstall, mintDisk, mintWifi, xfcemintConfig, xfcemintDesktop. Although similar to the main edition, the Xfce Community edition runs faster and takes fewer resources. It is ideal for older computers. The default software selection includes: OpenOffice.org 2.2.0, Firefox 2.0.0.6, Thunderbird 2.0.0.5... Notable differences with the main edition are: the presence of Exaile which replaces Amarok; the Xfce desktop replaces GNOME; Wicd replaces Network Manager." More details are available in the release notes. Download (MD5) the CD image via BitTorrent: LinuxMint-3.0-XFCE.iso (648MB). Clement Lefebvre has announced the availability of a development release of the new KDE Community Edition of Linux Mint 3.0 "Cassandra": "The KDE Edition of Linux Mint is now a Community project and it is maintained by Jamie Boo. A stable release is expected next week. If you are interested in the KDE Edition, please test this BETA release... This release is based on Bianca-KDE and compatible with all Feisty repositories. It comes with KDE 3.5.6 and a Linux kernel 2.6.20-15. Openoffice, Thunderbird and Sunbird replaced Koffice and Kontact. Beryl 0.2.1 is included with Beryl-Manager." Read the brief announcement and the release notes. Download (MD5) via BitTorrent: LinuxMint-3.0-KDE-BETA-013.iso (952MB). 2007-06-28 Development Release: Linux Mint 3.0 RC1 "Xfce"
Clement Lefebvre has announced the availability of a new, light-weight edition Linux Mint 3.0 "Cassandra", featuring the Xfce desktop: "The first release candidate for Cassandra Xfce Community edition is out available for download. This is the first community edition of Linux Mint, made by and for the Linux Mint community. This edition aims at replacing GNOME with the Xfce desktop. It is based on Cassandra and comes with the following mint tools: mintInstall 2.3, mintDisk, an Xfce adaptation of mintConfig. Although very similar to the main edition, the Xfce Community edition runs faster and takes fewer resources. This is ideal for older computers." Read the brief release notes here. Download (MD5): LinuxMint-3.0-XFCE-BETA-003.iso (690MB); also available via BitTorrent. 2007-06-15 Distribution Release: Linux Mint 3.0 "Light"
Clement Lefebvre has announced the release of Linux Mint 3.0 "Light" edition: "Cassandra Light edition was released and is available for download. The purpose of the Light edition is to bring an edition of Linux Mint which doesn't contain: proprietary software, patented technologies and support for restricted formats. In some countries where the legislation allows software patents to be enforced, the Light edition provides a way for users to legally download Linux Mint. The following components are not present in this Light Edition: Macromedia Flash, support for encrypted DVDs, Windows codecs, support for restricted multimedia formats, unrar, Sun Java (replaced by GIJ)." Read the complete release notes for more details. Download (MD5): LinuxMint-3.0-Light.iso (638MB); also available via BitTorrent. Linux Mint 3.0, code name "Cassandra", has been released: "This is Linux Mint 3.0 based on Linux Mint 2.2 'Bianca' and compatible with Ubuntu 7.04 Feisty and its repositories. Important new features: the brand new mintInstall and the Linux Mint Software Portal; GNOME 2.18; kernel 2.6.20; OpenOffice.org 2.2; Thunderbird replaces Evolution as the default email reader; Sunbird and the GIMP are now installed by default; GNOME Control Center replaces mintConfig as the default control center application; drag & drop support in mintMenu with many other improvements; Sun Java 6; Compiz, Beryl and Emerald installed by default; new artwork...." Read the full release notes for more details. Download (MD5) via BitTorrent: LinuxMint-3.0.iso (697MB). The second beta release of Linux Mint 3.0, code name "Cassandra", is now available for download and testing: "This is the second beta release of Cassandra. All known bugs have been fixed, mintMenu and mintInstall are now stable. The artwork features a new logo but the mintArt team is still working on improving the look and feel. Notes: Pidgin was added and now replaces Gaim; Sunbird might be added in the stable release. Important new features in Cassandra: GNOME 2.18 (speed improvements); kernel 2.6.20 (better hardware support); OpenOffice.org 2.2; Thunderbird replaces Evolution as the default email reader; Compiz, Beryl and Emerald installed by default...." More details in the release notes. Download (MD5): LinuxMint-3.0-BETA-014.iso (697MB). Clement Lefebvre has announced the first beta release of Linux Mint 3.0, code name "Cassandra": "This is the first beta release of Cassandra. The system is stable but some work is ongoing in 'mintinstall', 'mintmenu' and in the artwork. For this reason this is not considered a release candidate. Important new features: GNOME 2.18 (speed improvements); kernel 2.6.20 (better hardware support); Ubuntu Feisty innovations (restricted manager, desktop effects, Windows migration assistant, Avahi); OpenOffice.org 2.2; Thunderbird replaces Evolution as the default email reader; GIMP is installed by default; GNOME Control Center replaces mintConfig as the default control center application; drag & drop support in mintMenu with many other improvements; Sun Java 6 replaces Sun Java 5; Compiz, Beryl and Emerald installed by default." Read the complete release notes for more details. Download (MD5): LinuxMint-3.0-BETA-012.iso (700MB). 2007-04-20 Distribution Release: Linux Mint 2.2 "KDE"
After two beta releases, the KDE edition of Linux Mint 2.2, code name "Bianca", has reached a stable state: "Bianca KDE edition was released and is available for download. A miniKDE edition is also available, it features less software but fits on a CD. As usual this release is desktop-ready and comes with support for most video codecs and web plugins. Mint applications couldn't be ported in time to KDE and are absent from this release, however mintdesktop's home folders were added to it. The default selection of packages is large and very up to date: KDE 3.5.6, Amarok 1.4.5, KOffice 1.6.2, Firefox 2.0.0.3. Konqueror is still the default file explorer but Dolphin 0.8 was also added as a tech-preview. The KMenu was replaced with TastyMenu 0.7." Here are the full release notes. Download (MD5): LinuxMint-2.2-KDE.iso (808MB), LinuxMint-2.2-miniKDE.iso (698MB). 2007-04-14 Development Release: Linux Mint 2.2 RC2 "KDE"
Clement Lefebvre has announced the second release candidate of Linux Mint 2.2, KDE edition: "This is the second release candidate for the KDE Edition of Bianca. We received a lot of feedback on BETA 020 and made important modifications in this release: Dolphin was updated to 0.8 and now features a sidebar; the default KDE style was changed from Polyester to Domino; the default theme was changed from zen-green to bianca-green; Tasty Menu was updated to 0.7.1 (configurable logo and text); Krusader and KFTPGrabber are now installed by default; the panel was rearranged (we received negative feedback on the RSS panel); System Settings was replaced with KControl; an important bug on KDE-Guidance was fixed." Read the full release notes for more information. The DVD image is available for download (MD5) from here: LinuxMint-2.2-KDE-BETA-022.iso (809MB). 2007-04-05 Development Release: Linux Mint 2.2 Beta "KDE"
The first beta release of the "KDE" edition of Linux Mint 2.2 is now ready for testing: "This is the first release candidate for the KDE Edition of Bianca. As this is our first try at a modern KDE desktop, please give us as much feedback as possible on this release. The desktop is KDE 3.5.6 and the kernel is 2.6.17. This release comes with support for multimedia codecs and encrypted DVDs. The latest Flash and Java plugins are also installed by default. The default email reader is KMail/Kontact. KOffice 1.6.2 replaces OpenOffice.org as the default office suite and the default web browser is Firefox 2.0.0.3. Amarok was upgraded to version 1.4.5." Read the rest of the release notes for more details. Download (MD5) the DVD image from here: LinuxMint-2.2-KDE-BETA-020.iso (803MB). 2007-03-29 Distribution Release: Linux Mint 2.2 "Light"
Clement Lefebvre has announced the release of the Light edition of Linux Mint 2.2, code name "Bianca": "Bianca Light Edition was released and is available for download. The purpose of the Light Edition is to bring a version of Linux Mint which doesn't contain: proprietary software, patented technologies, support for restricted formats. In some countries where the legislation allows software patents to be enforced the Light Edition provides a way for users to legally download Linux Mint. The following components are not present in the Light Edition: Macromedia Flash, support for encrypted DVDs, Windows codecs, support for restricted multimedia formats, Unrar, Sun Java." See the brief release notes for information about this new edition of Linux Mint. Download (MD5): LinuxMint-2.2-Light.iso (621MB). 2007-03-22 Development Release: Linux Mint 2.2 Beta "Light"
Clement Lefebvre has announced the first beta release of Linux Mint "Light", a special edition that excludes any proprietary, patented and restricted components from the distribution: "This is the first release candidate for the Light edition of Bianca. The purpose of the Light edition is to bring a version of Linux Mint which doesn't contain proprietary software, patented technologies and support for restricted formats. In some countries where the legislation allows software patents to be enforced the Light edition provides a way for the user to legally download Linux Mint. The following items are not present in the Light Edition: Macromedia Flash, support for encrypted DVDs, Windows codecs, support for restricted file formats (MP3), Unrar and Sun Java 1.5." Please read the release notes for further information. Download (MD5): LinuxMint-2.2-Light-BETA-001.iso (621MB). Clement Lefebvre has announced the stable release of Linux Mint 2.2, code name "Bianca": "Bianca is out and available for download! Many thanks to the Linux Mint community from which we managed to gather precious ideas and feedback. We've brought a lot of changes into Bianca and we hope you'll like it. Here are the main changes: Minty Artwork and a brand new desktop... We've put a lot of efforts into Bianca and started writing our own applications and our own packages. A new repository was added to Bianca for users to be able to get the latest innovations through APT upgrades. It is also possible to upgrade from Bea to Bianca." Read the release announcement and release notes for further details. Download (MD5): LinuxMint-2.2.iso (685MB). Clement Lefebvre has announced the beta release of Linux Mint 2.2, code name "Bianca": "The beta version of Bianca was released and is available for download. Bianca comes with two brand new themes: Bianca-Blue and Bianca-Green which give the distribution a whole new 'minty' look. Only one panel at the bottom, a Slab-like menu, new default icons. The following applications were added to Bianca: mintMenu, a replacement for the GNOME menu; mintConfig, a Control Center application; mintDisk, a program which automatically mounts FAT32 and NTFS partitions; mintDesktop, which now comes as a package, has a graphical configuration front-end; mintWifi, which now comes as a package." Read the release announcement and release notes for further details. Download (MD5): LinuxMint-2.2-BETA-014.iso (698MB). A new stable version of Linux Mint has been released: "Linux Mint 2.1, code name "Bea", is out and available for download." Here is a brief list of some of the changes since version 2.0: "OpenOffice.org 2.1; mintDesktop, which adds a lot of desktop improvements; quick access to the computer, home places and terminal; ability to delete files directly without sending them to the trash; mintDesktop home folders; Beagle search; Tomboy notes; network manager; mintWifi, the purpose of which is to configure a wireless card without an Internet connection; tutorials to install and configure WiFi cards; a collection of WiFi drivers to support about 40 different wireless card models; RealPlayer was replaced with MPlayer plugins with support for QuickTime, AVI, MPG and a lot of other web content; Flash plugin was upgraded to version 9 Beta 2...." Read the detailed release announcement for further information. Download (MD5): LinuxMint-2.1.iso (695MB). The first beta of Linux Mint 2.1 has been released: "This release is based on [Linux Mint 2.0] Barbara. It is the first release candidate for Linux Mint 2.1 'Bea' which will be released on the 20/12/2006. Bea comes with improved artwork and better branding. The Ubuntu branding was removed and replaced with artwork made for Linux Mint. We received a lot of suggestions from the community and we decided to include the following new software in Bea: Beagle, which makes it easy to find stuff from the desktop; NetworkManager, which manages your wired and wireless connections, OpenOffice.org Impress, thanks to which you can now see Impress and PowerPoint presentations...." Read the release notes for further details. Download: LinuxMint-2.1-BETA-023.iso (686MB, MD5). Linux Mint is an Ubuntu-based distribution whose goal is to provide a more complete out-of-the-box experience by including browser plugins, media codecs, support for DVD playback, Java, and other components. Linux Mint 2.0, code name "Barbara", was released yesterday: "This release is based on Ubuntu 6.10 and uses the Ubuntu installer. The desktop is GNOME 2.16.1 and the kernel is 2.6.17. Barbara comes with the following plugins: Macromedia Flash 9 beta, Sun Java 1.5 Update 9, RealPlayer 10. Support for MP3, Windows and various codecs, encrypted DVDs is installed by default. Barbara comes with Amarok 1.4.4 instead of Rhythmbox. The default artwork is a blue version of the 'Human' theme." Read the release notes for further information. Download (MD5): LinuxMint-2.0.iso (679MB).